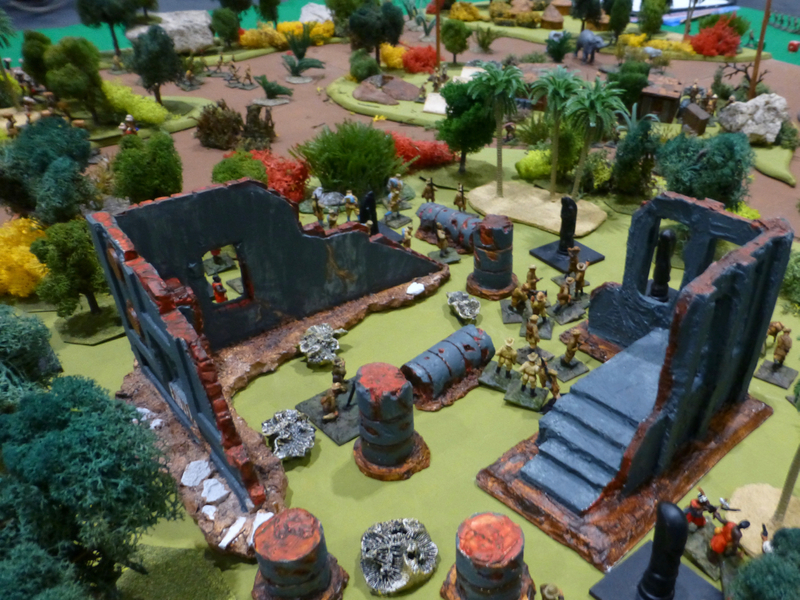 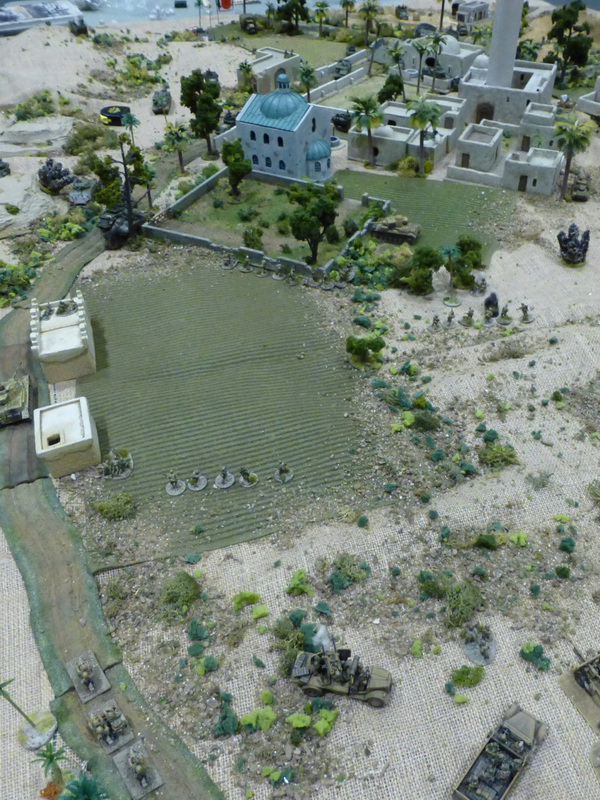 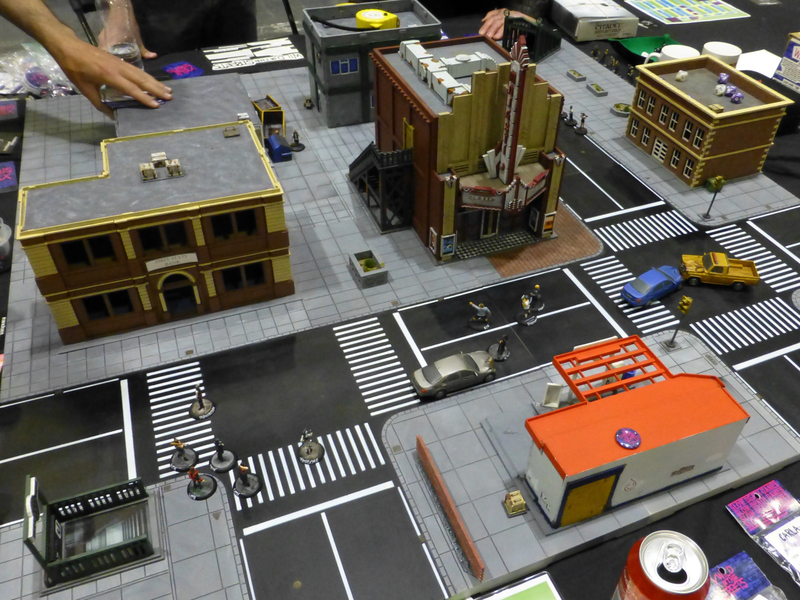 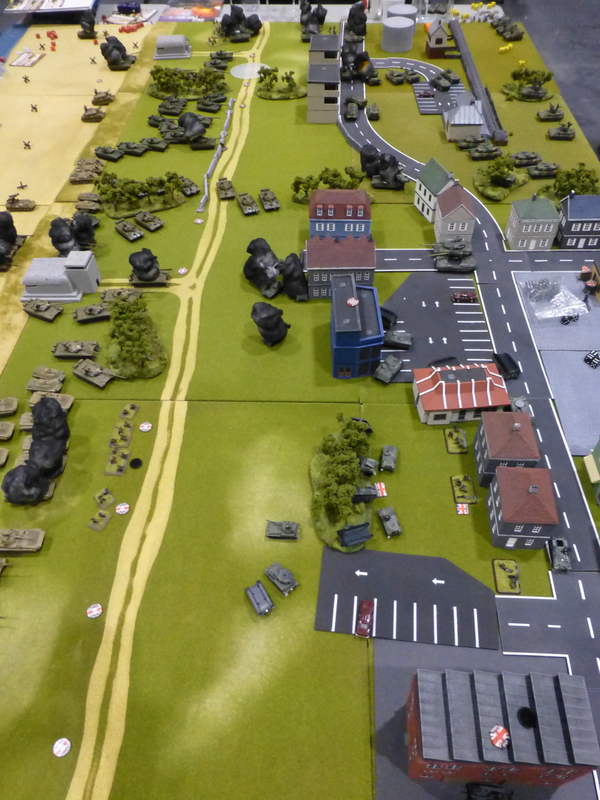 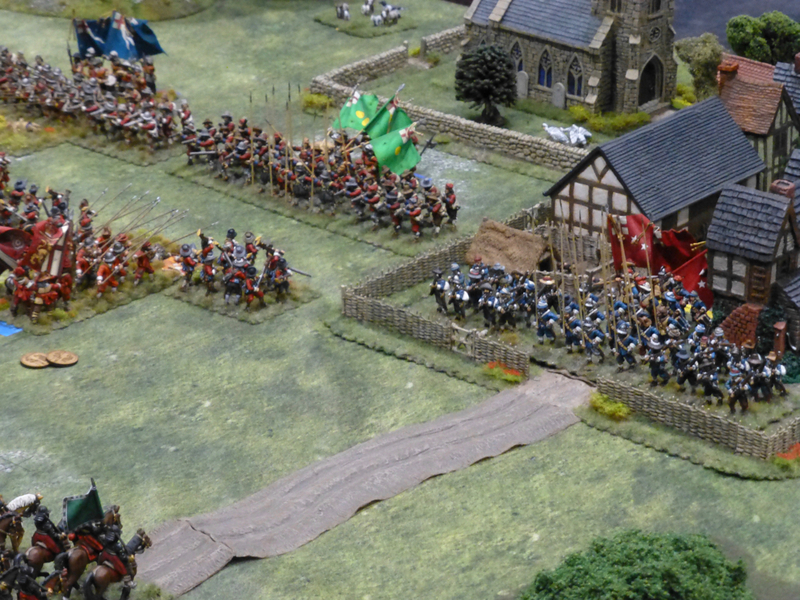 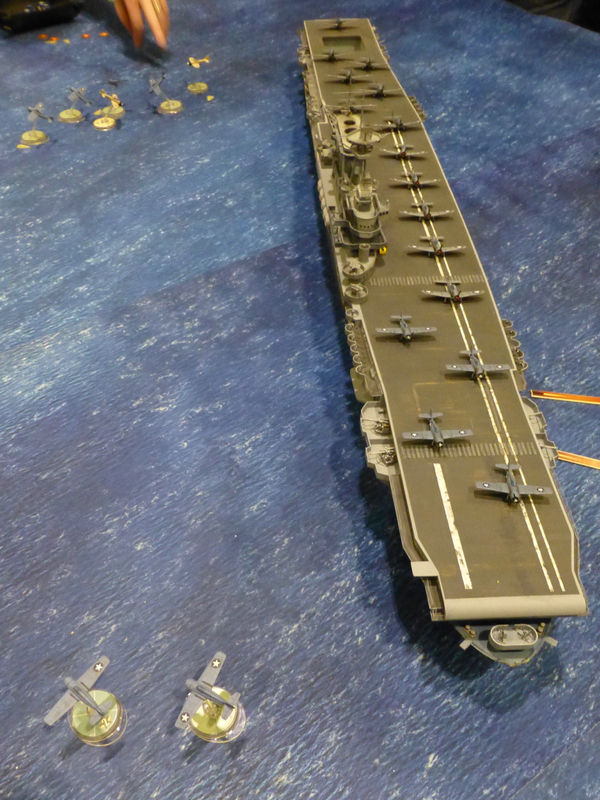 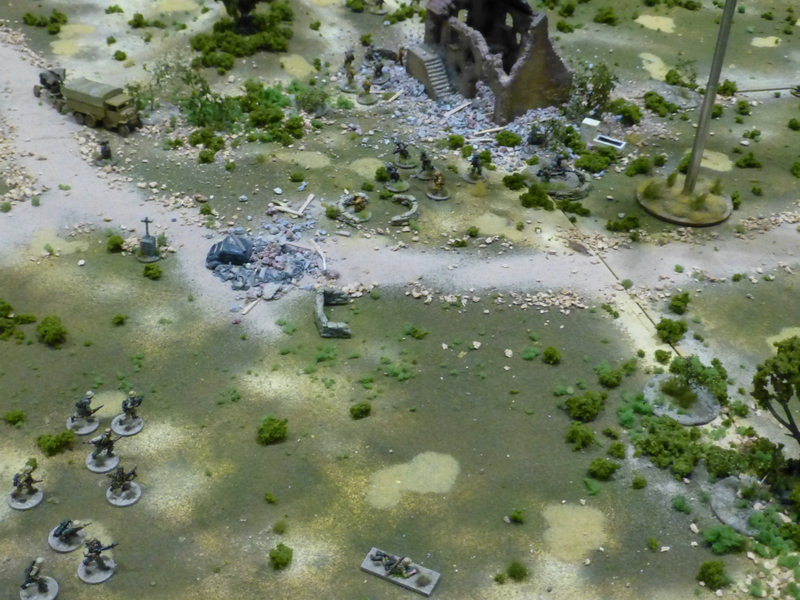 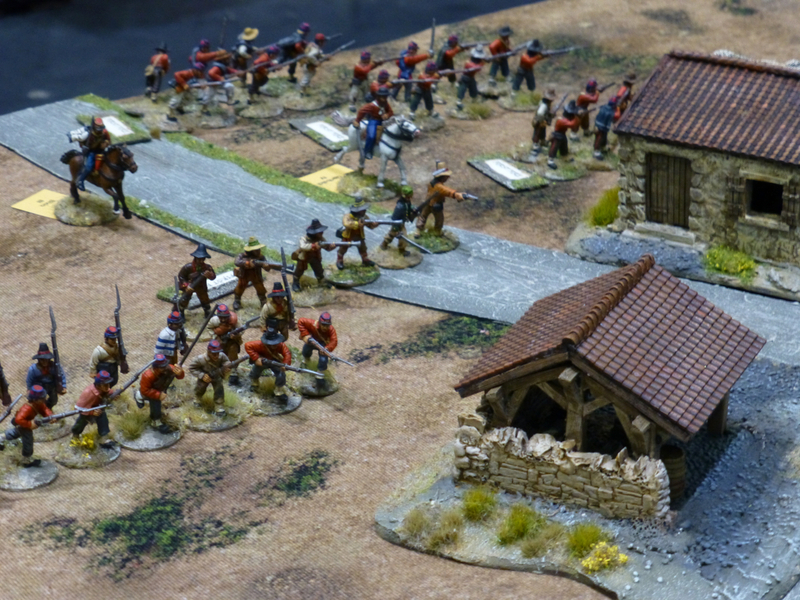 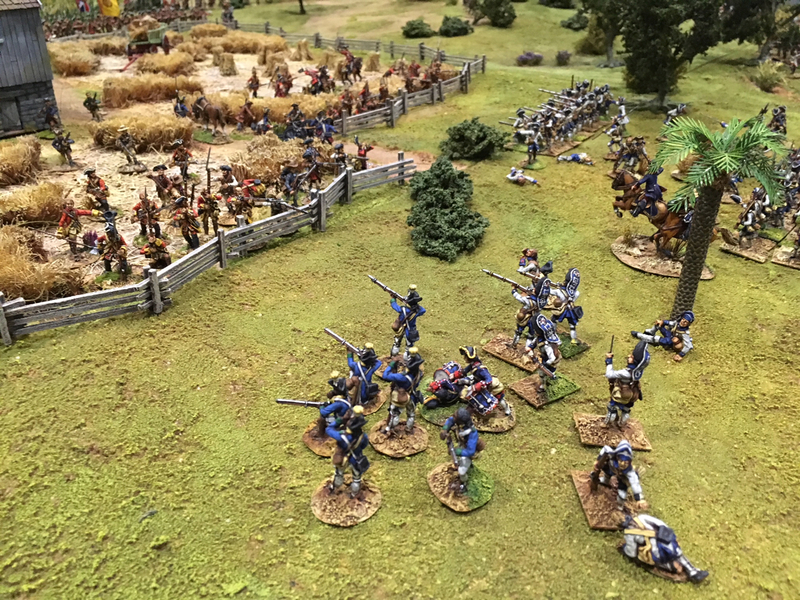 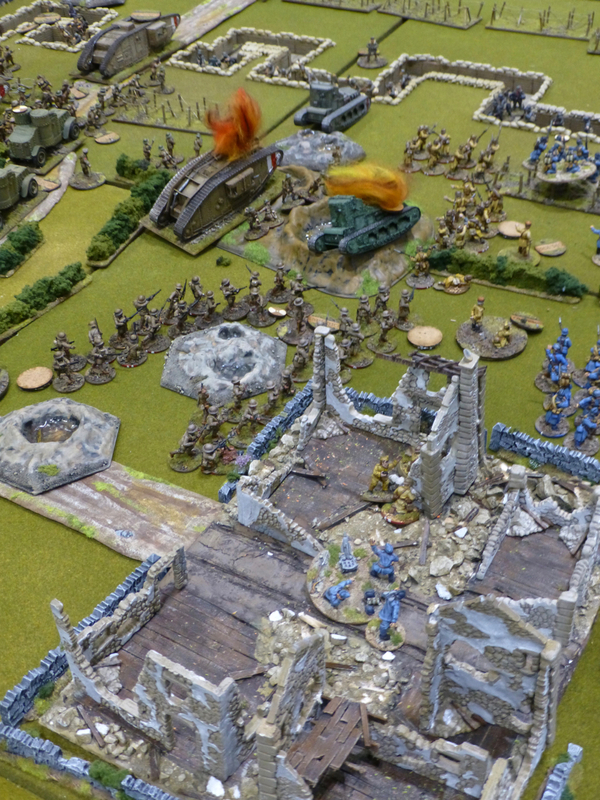 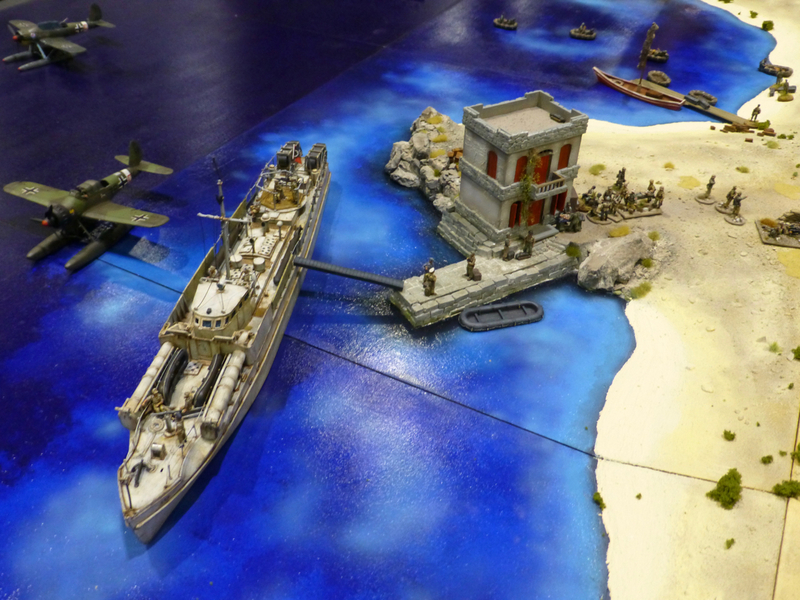 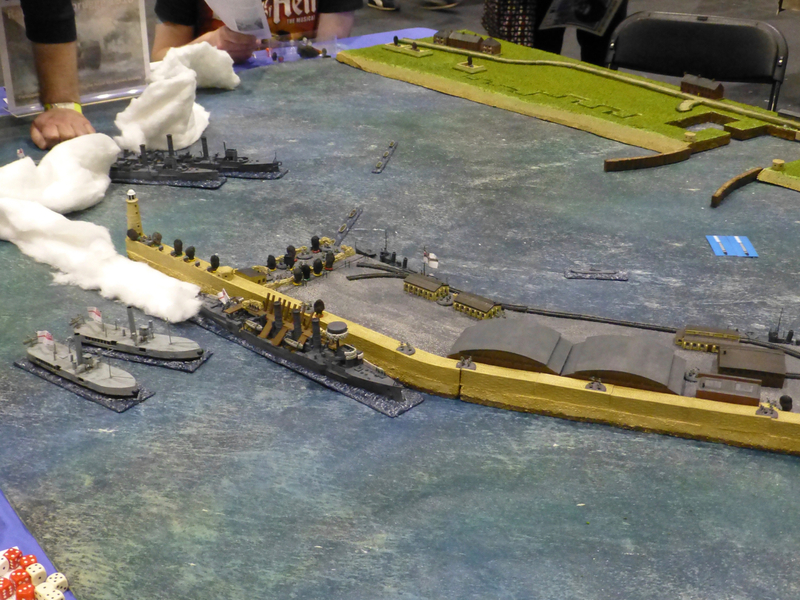 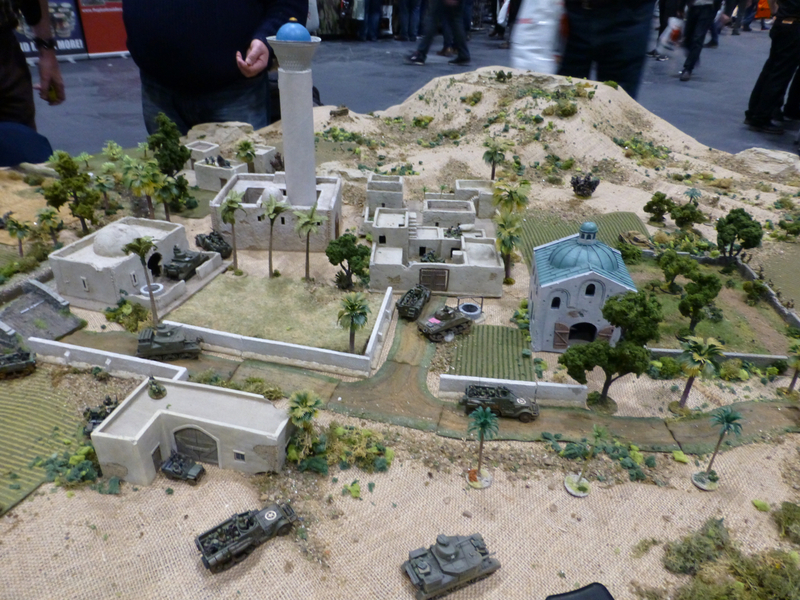 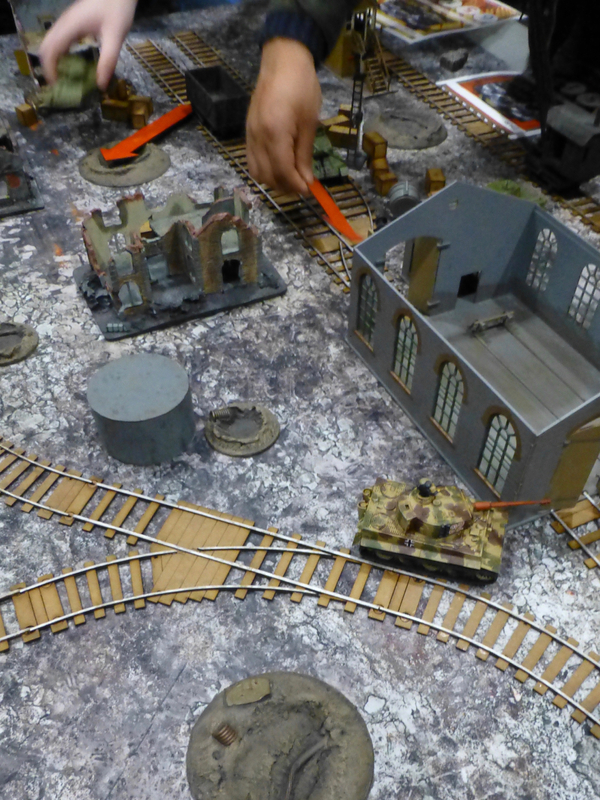 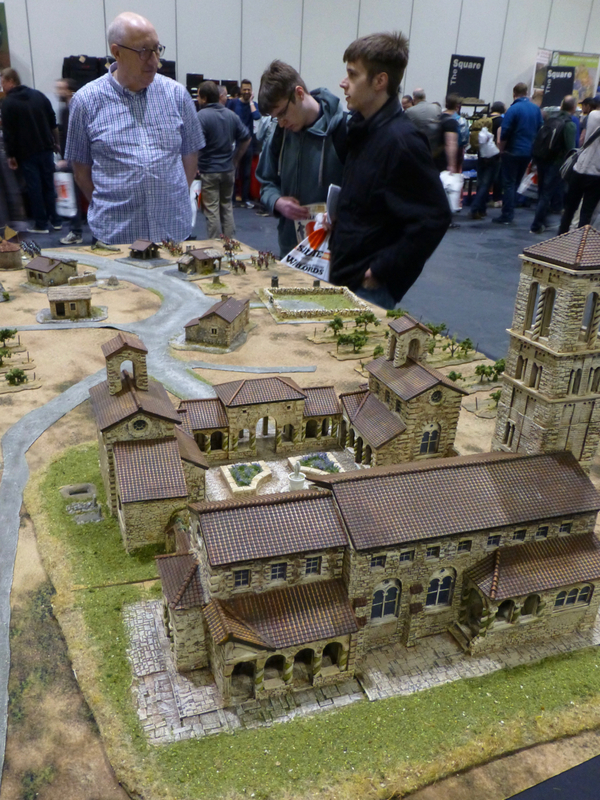 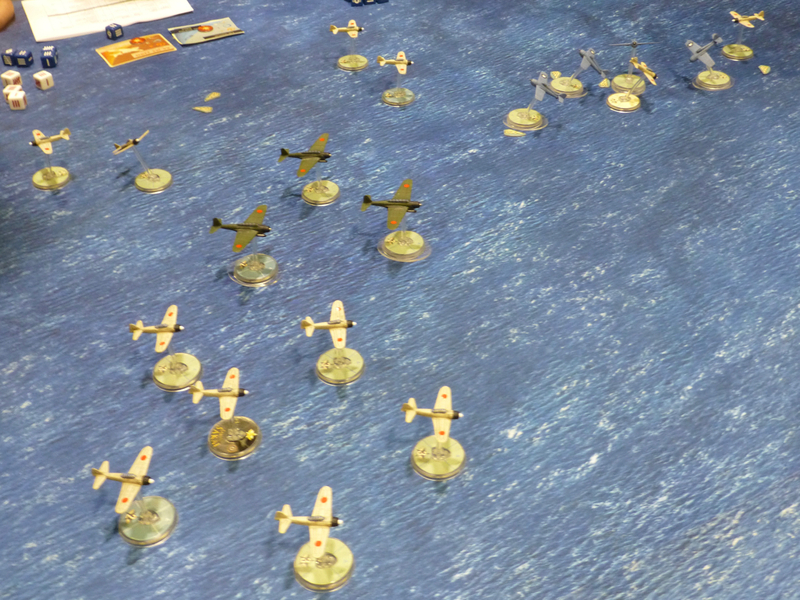 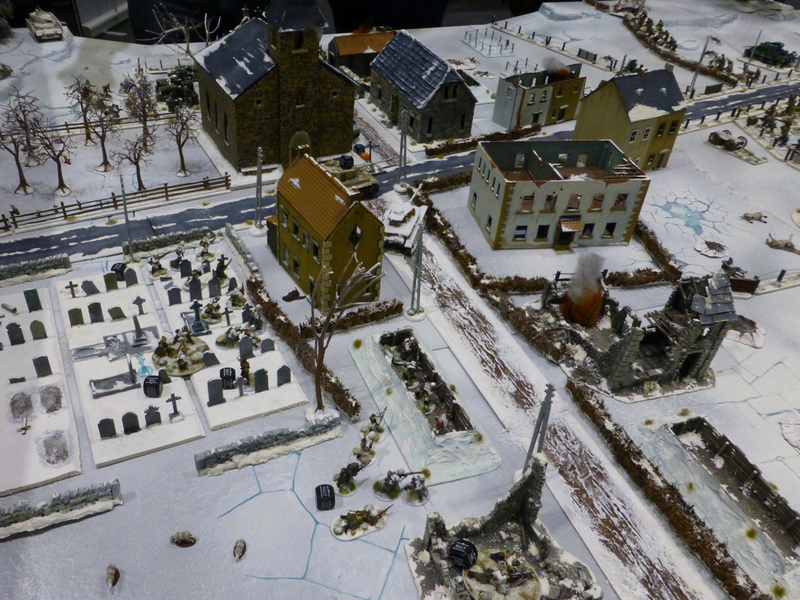 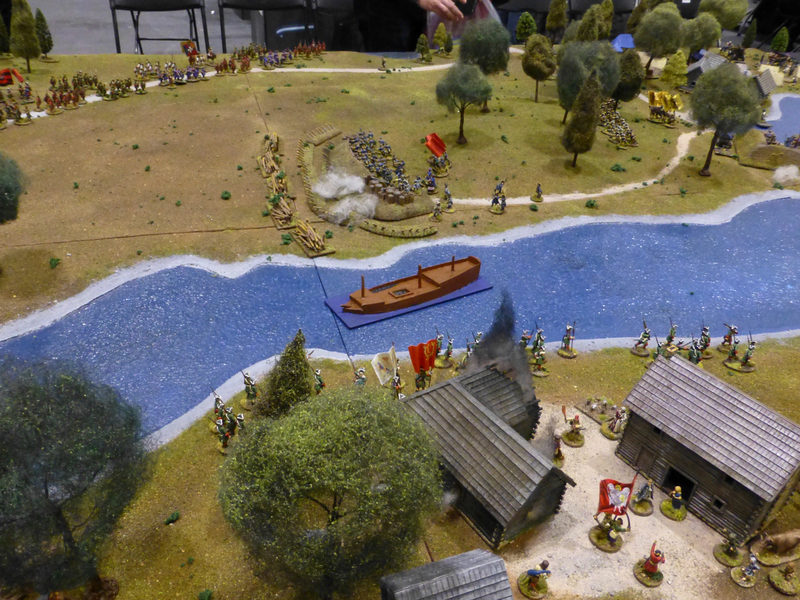 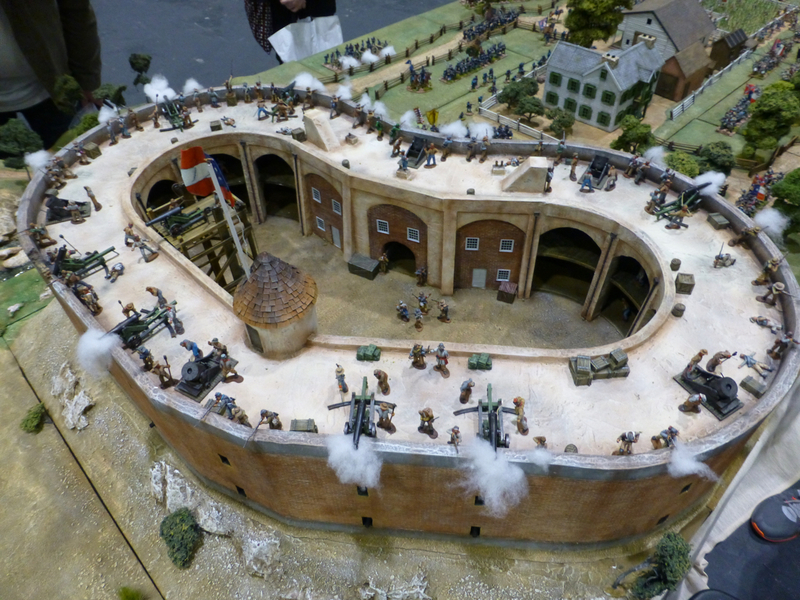 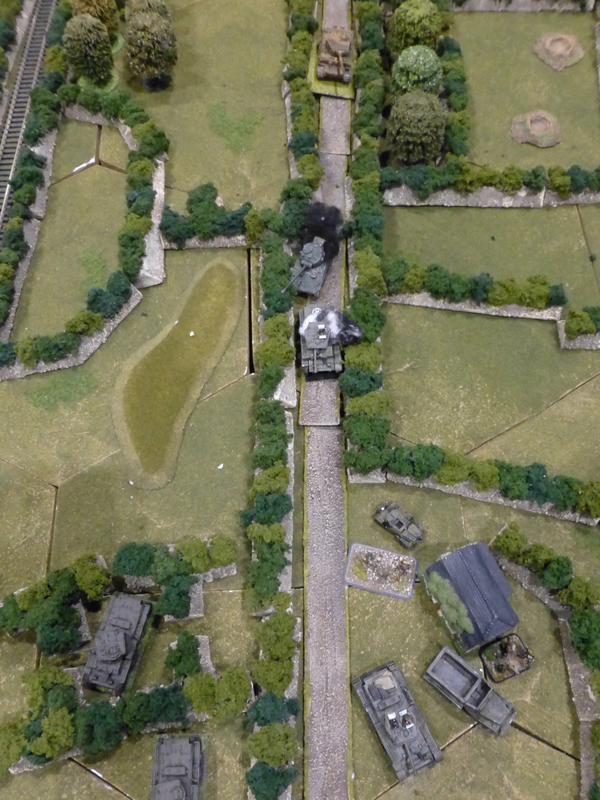 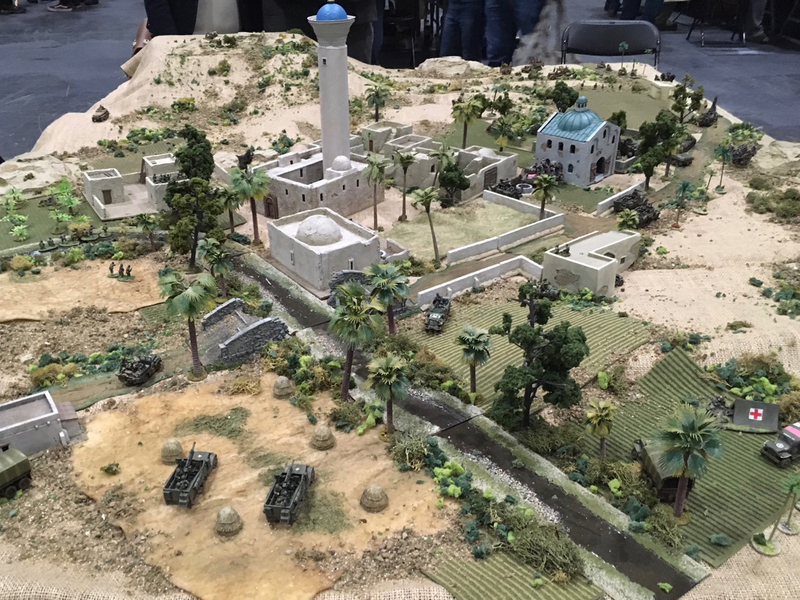 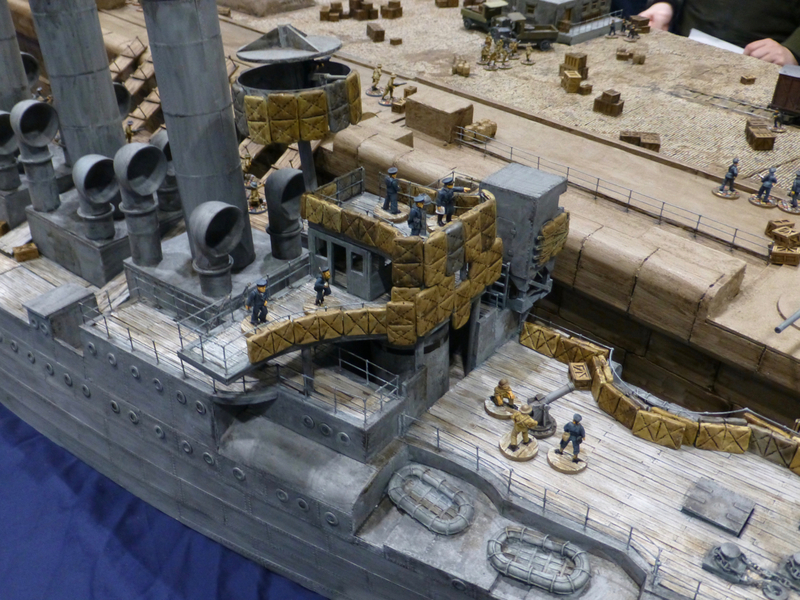 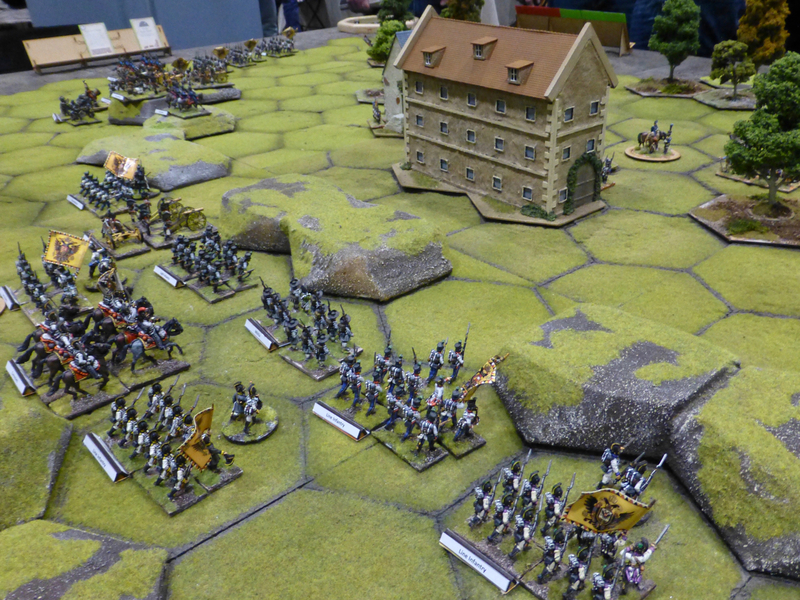 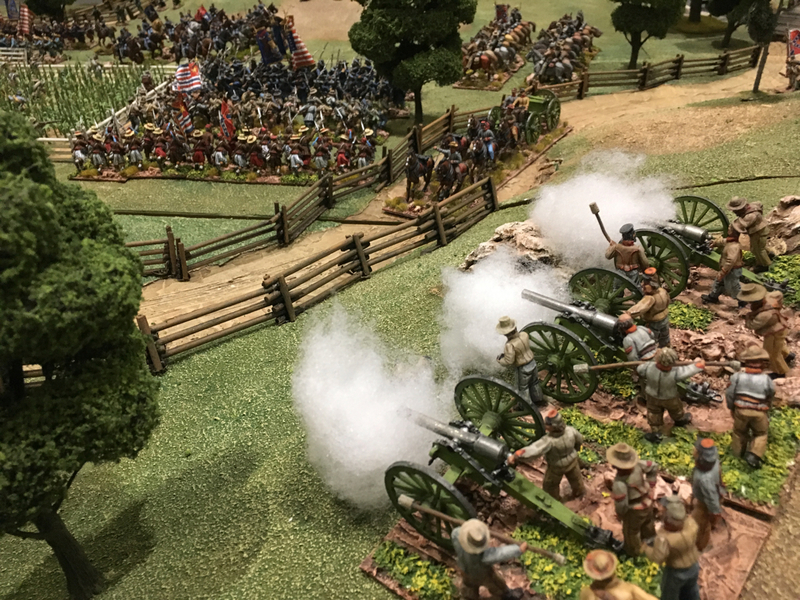 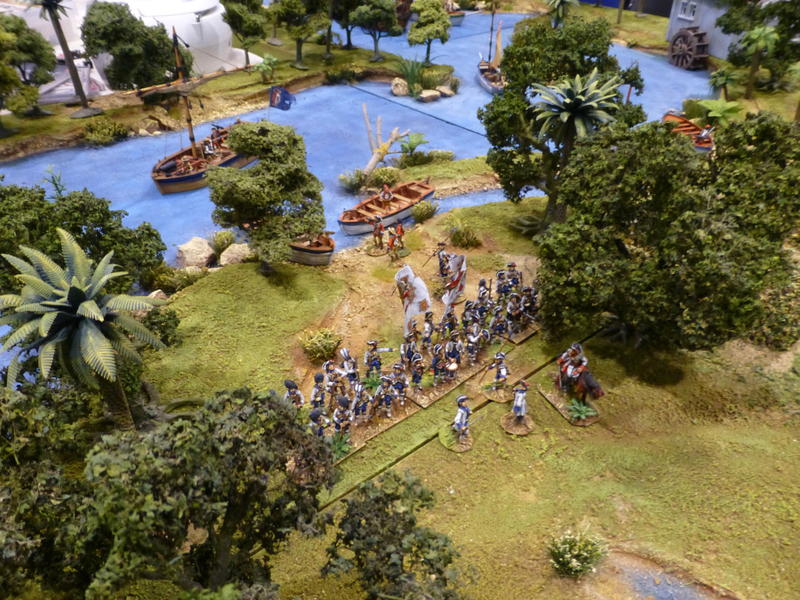 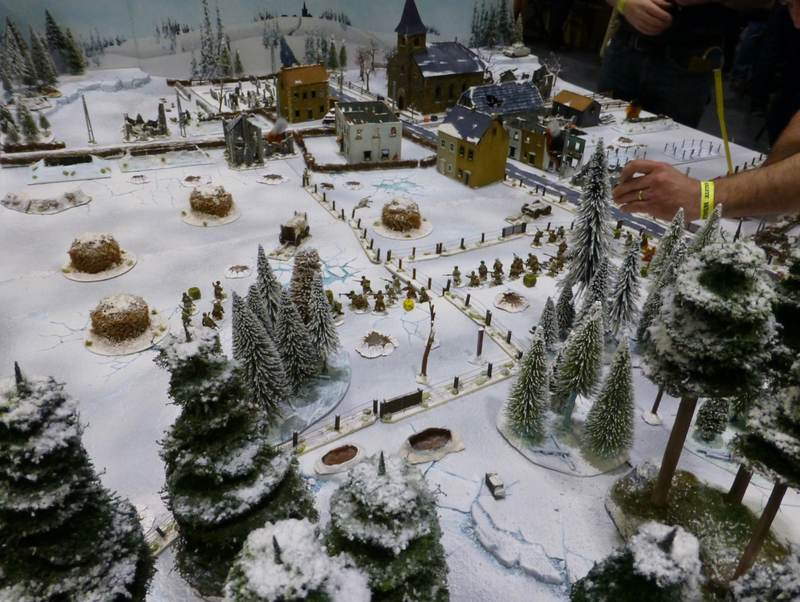 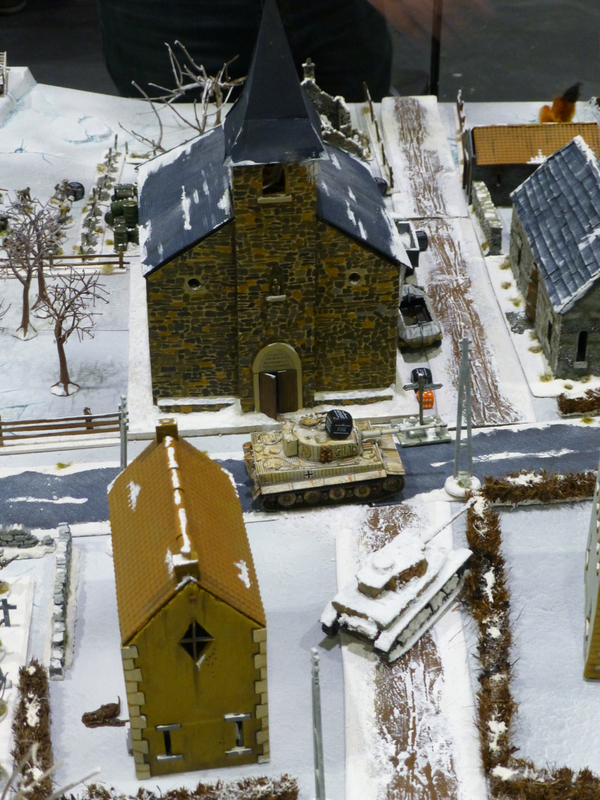 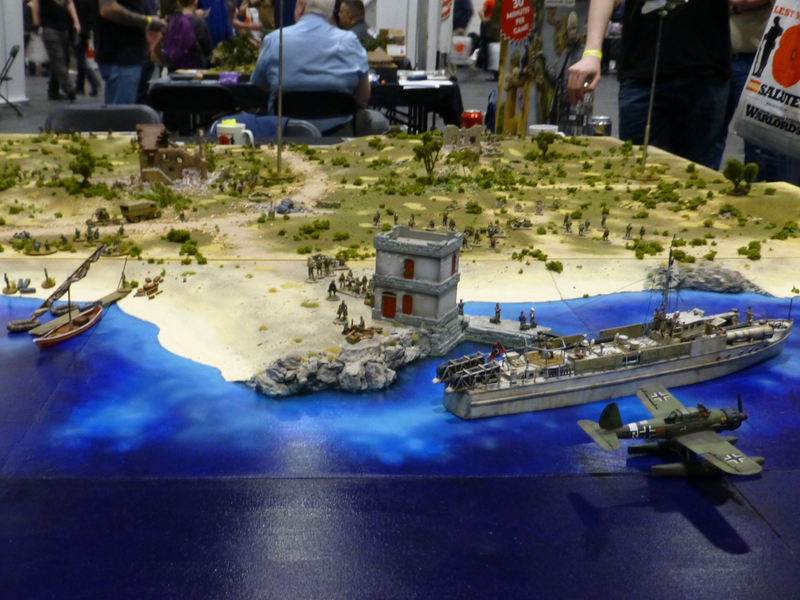 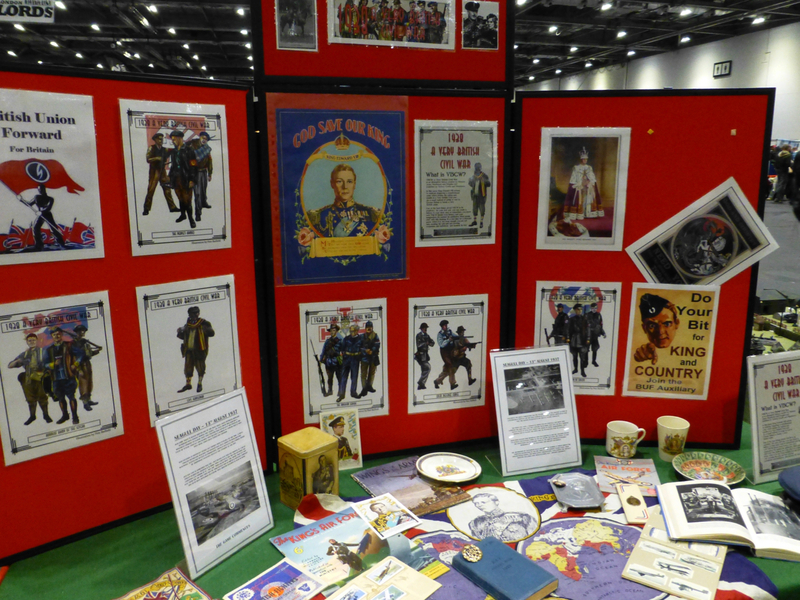 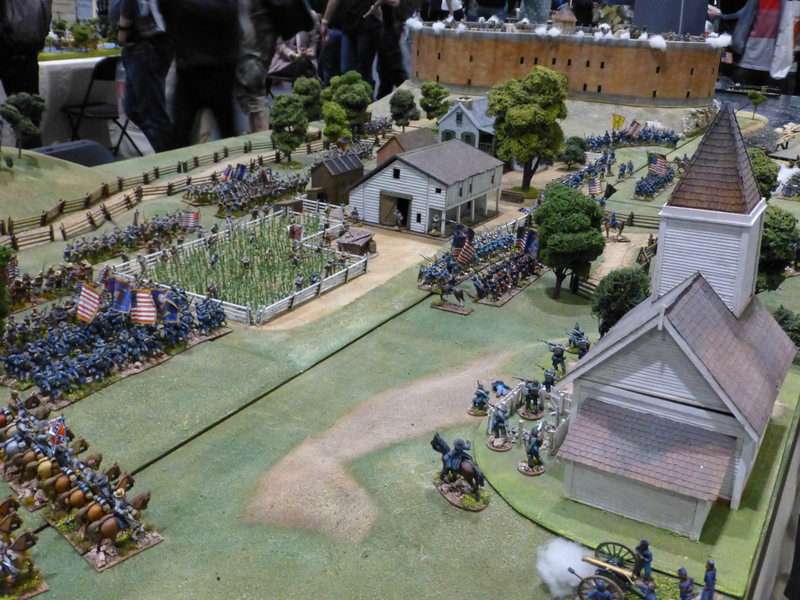 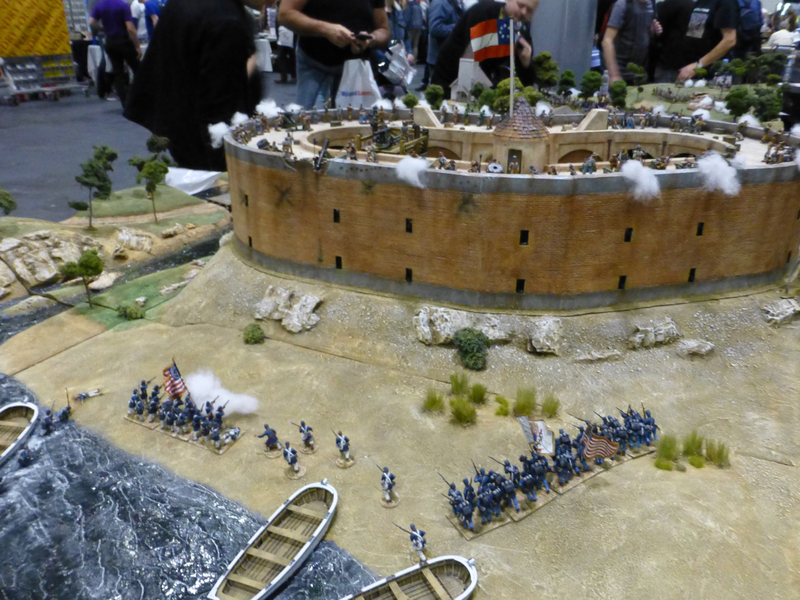 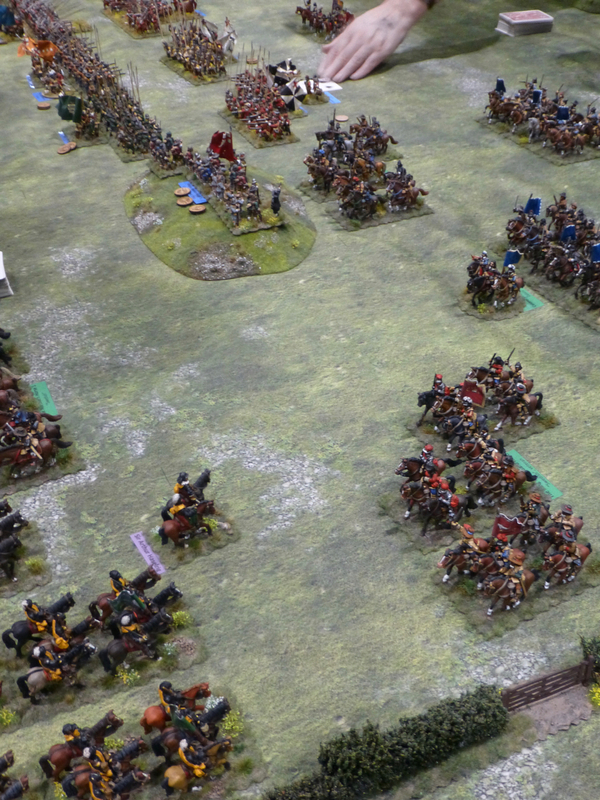 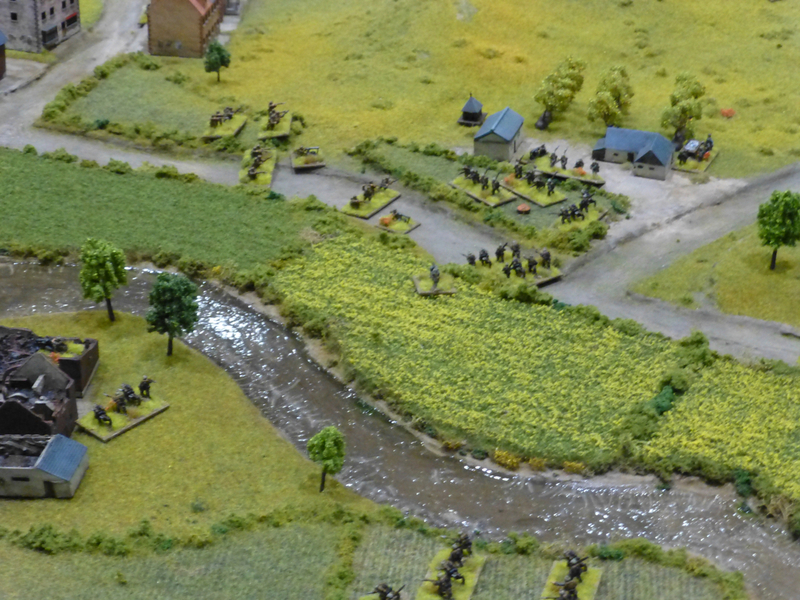 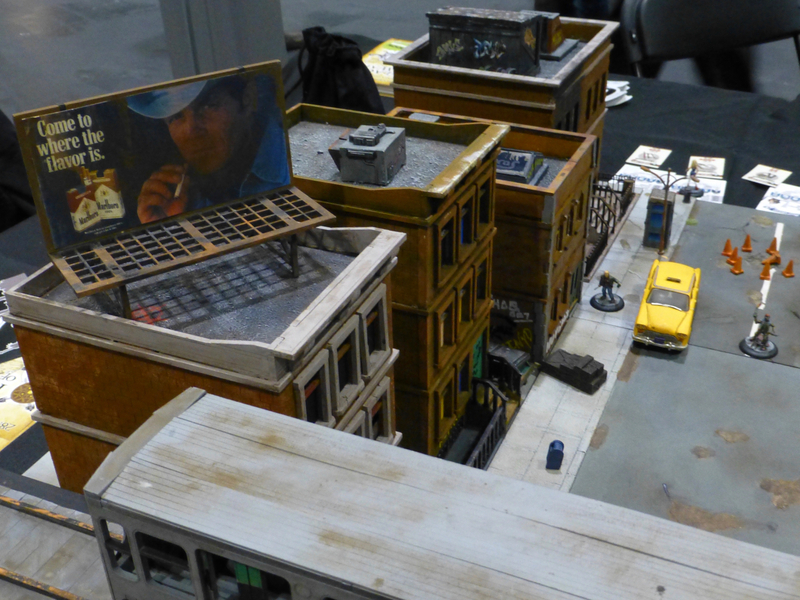 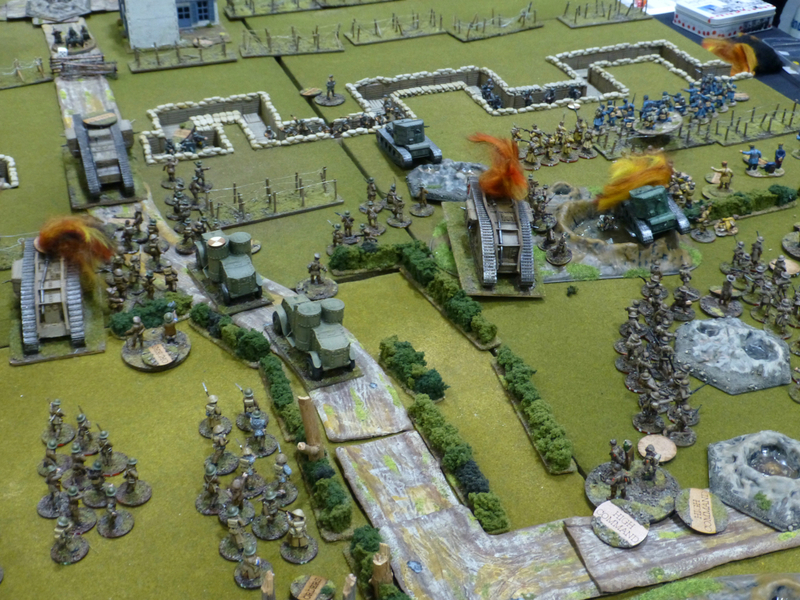 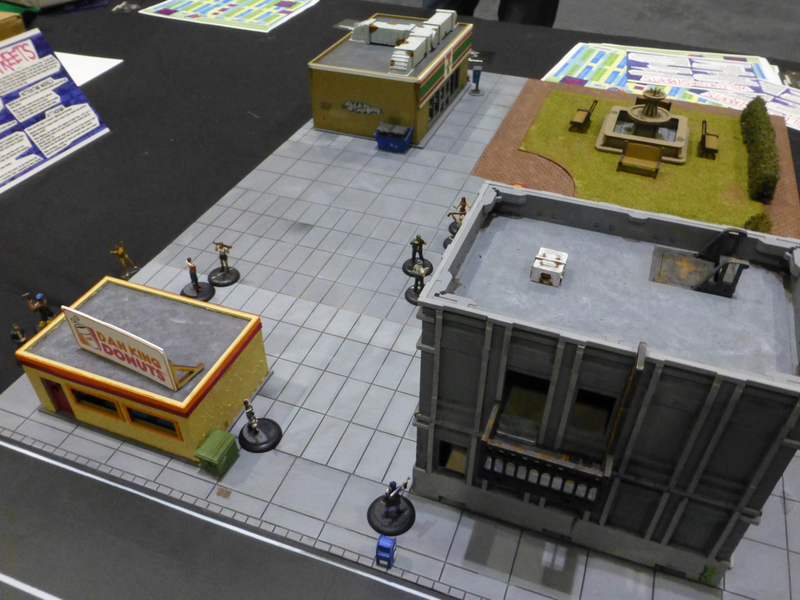 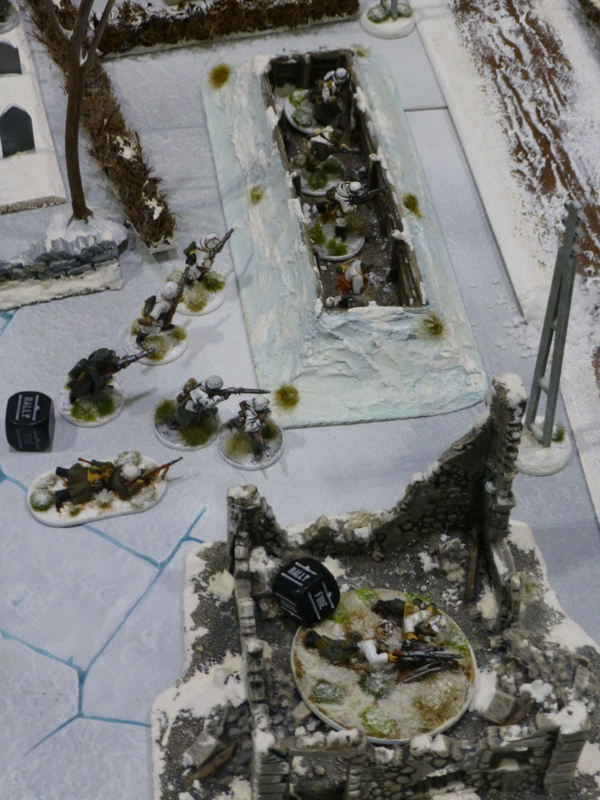 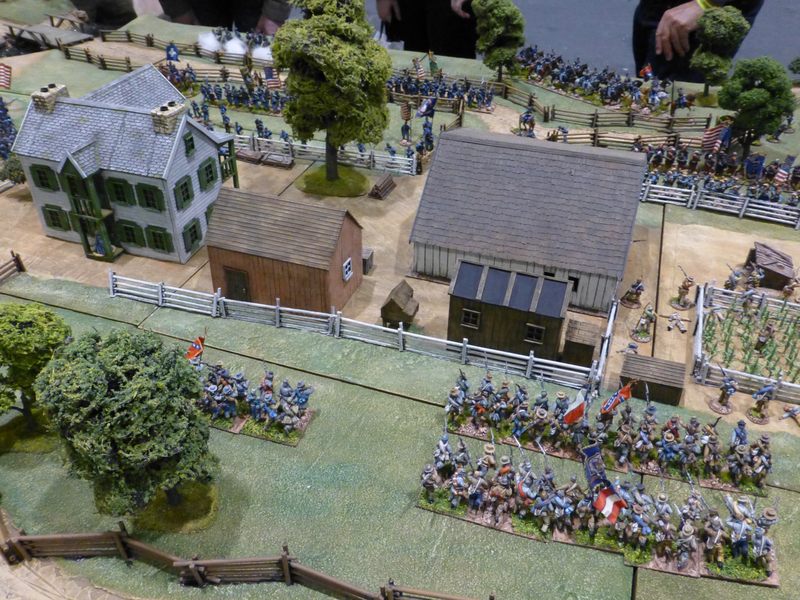 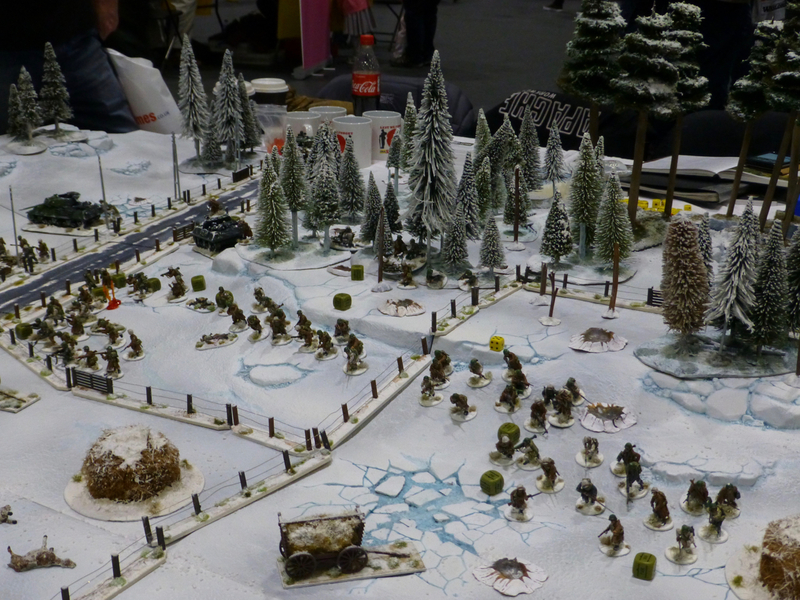 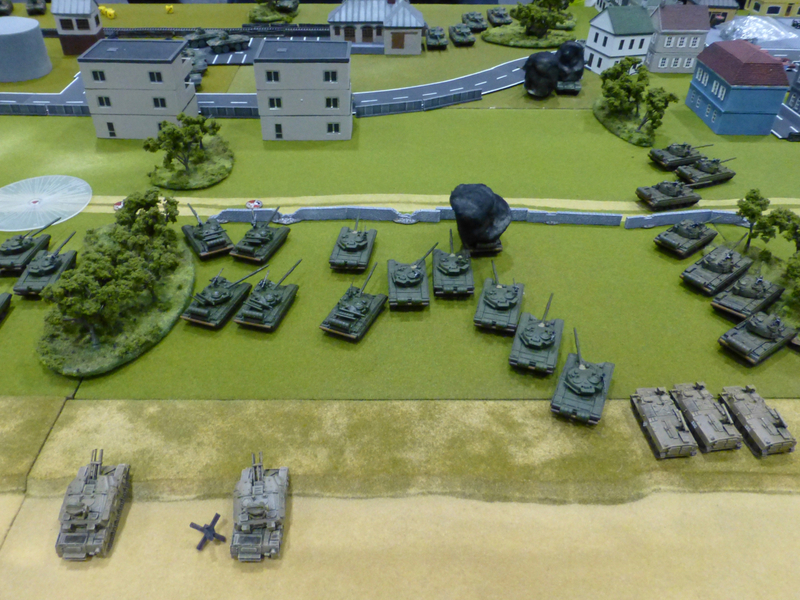 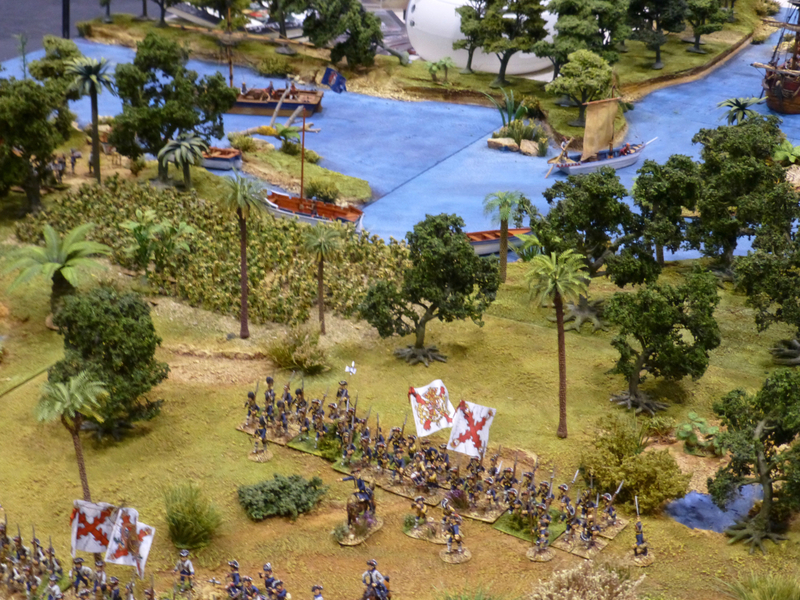 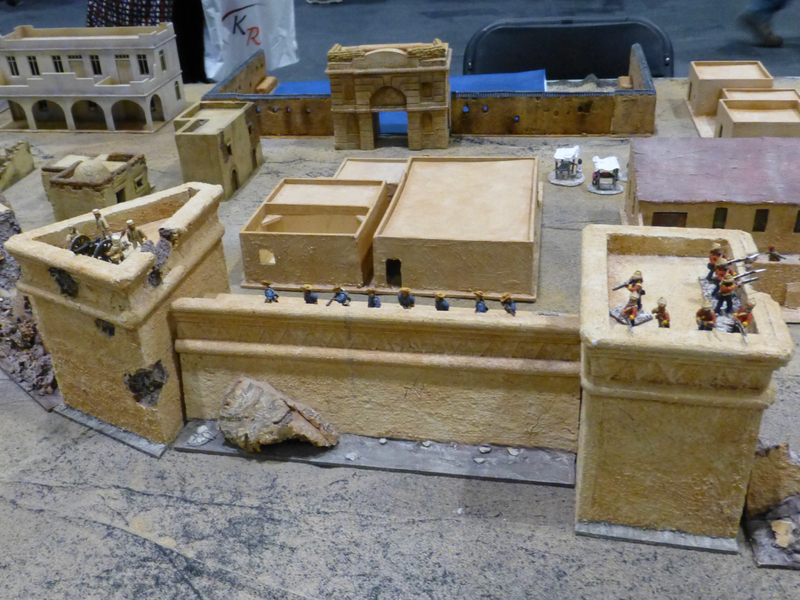 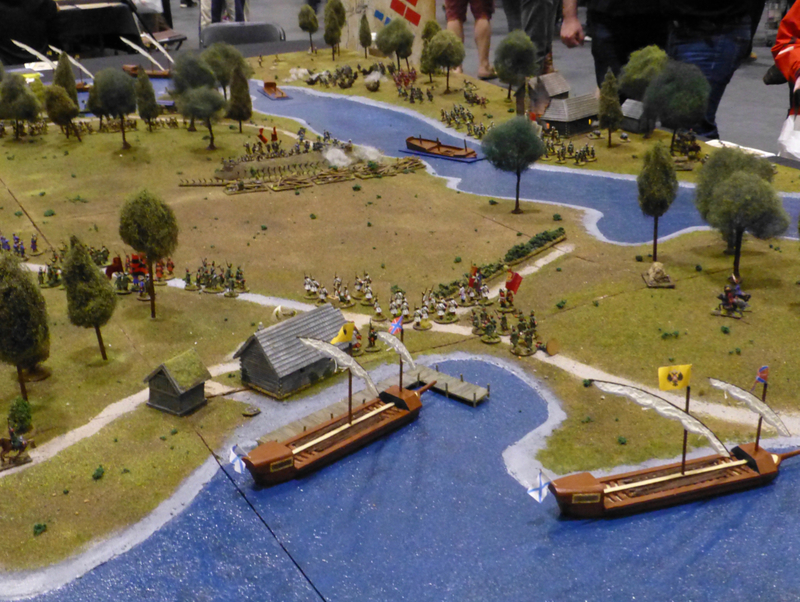 The category of Modern Warfare at Salute 2018 featured rather fewer conventional theatres, and an unexpected surge of gangland conflicts. 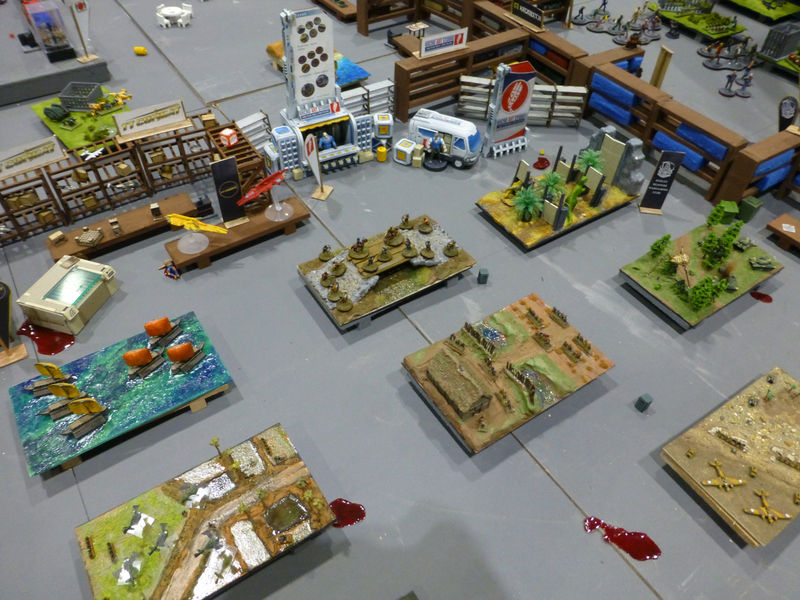 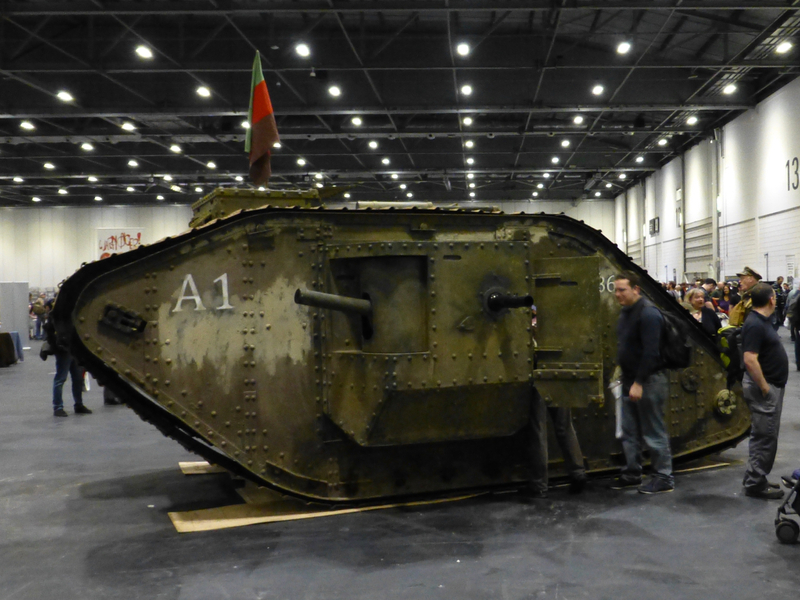 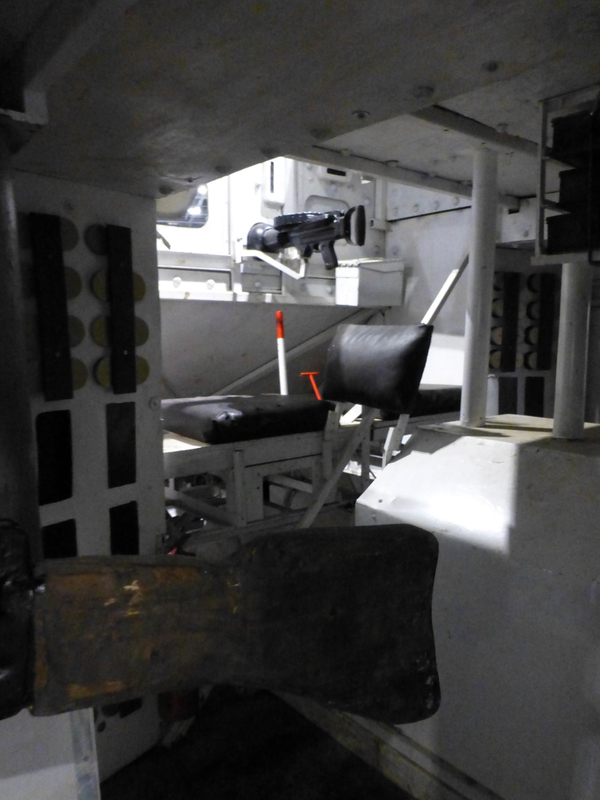 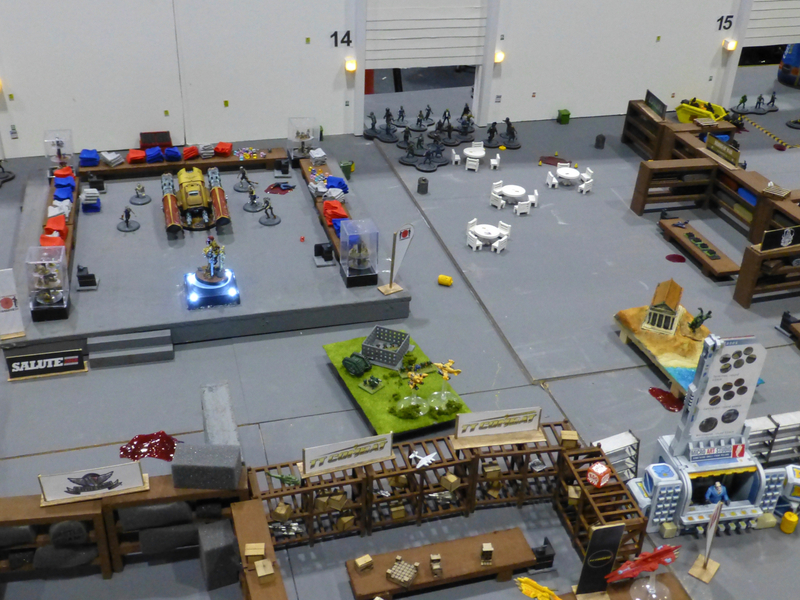 Also, zombies taking over the Salute exhibition hall and not-Lego tanks duking it out on a bedroom floor – can’t get more modern than those in my view. 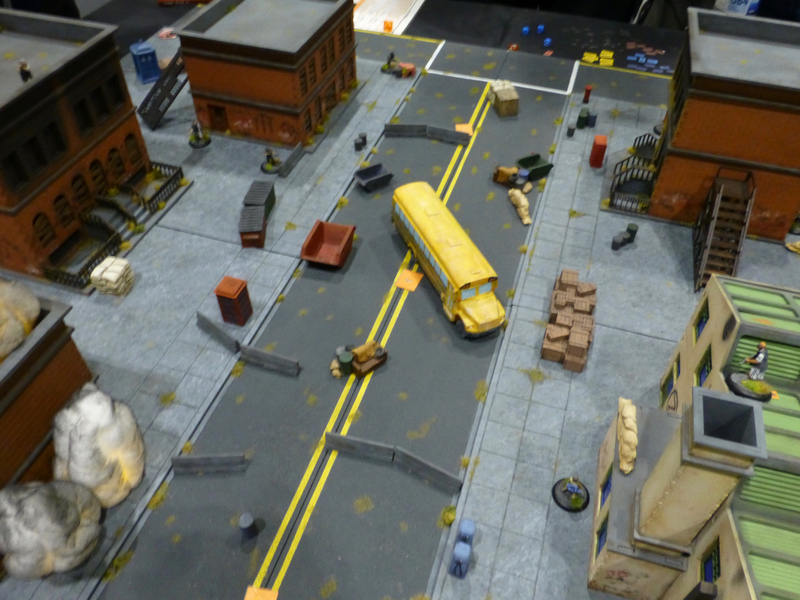 Street fighting in contemporary urban environments ranged from youth gang bust ups to gangland shoot outs and zombie/monster invasions. 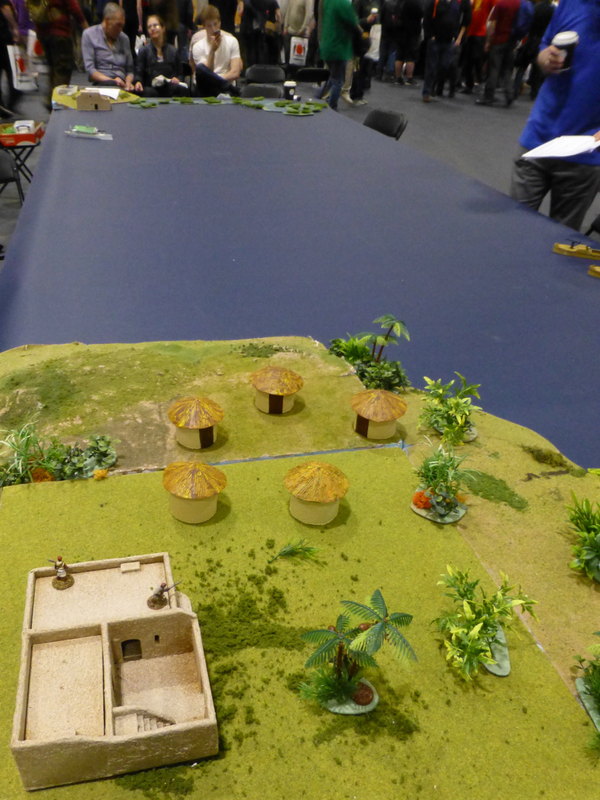 The most original and also perfectly executed participation game was ‘Dead Show’ by Bexley Reapers Wargaming Club. 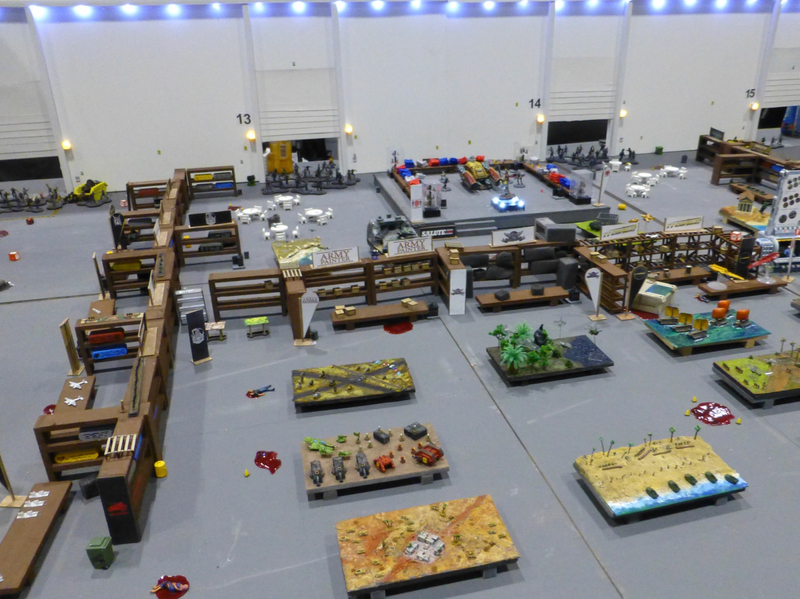 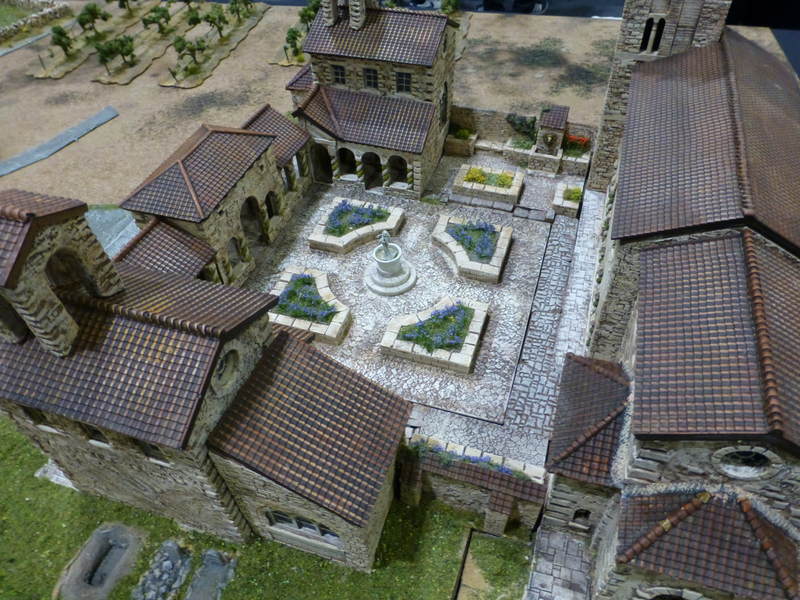 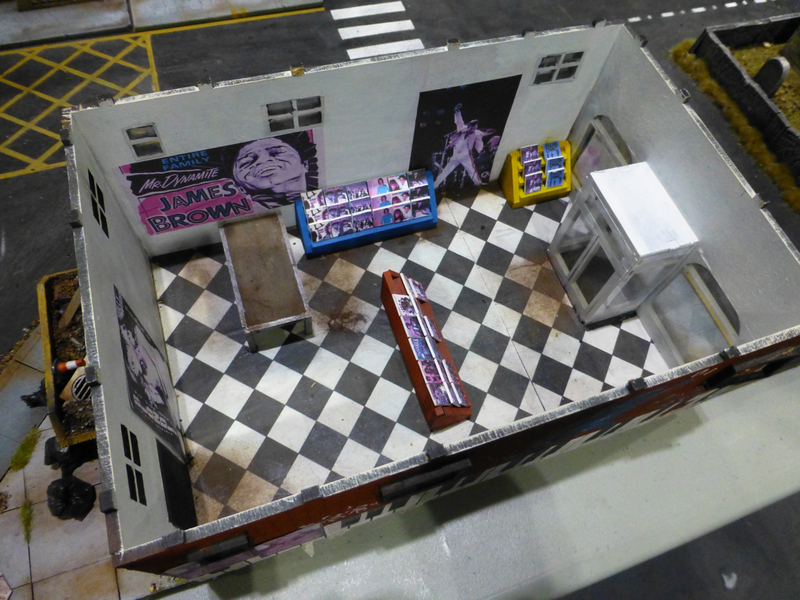 The Salute hall had been painstakingly recreated in 28mm scale, including trade stands and gaming tables. 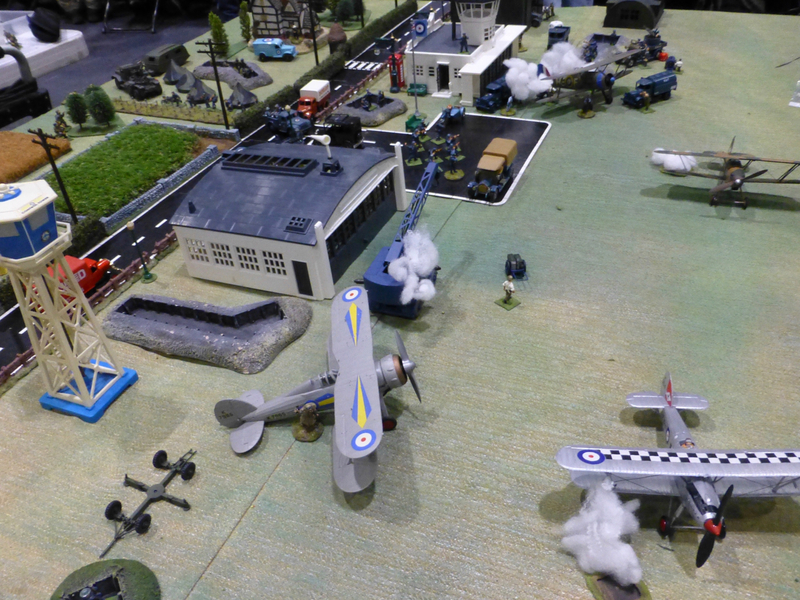 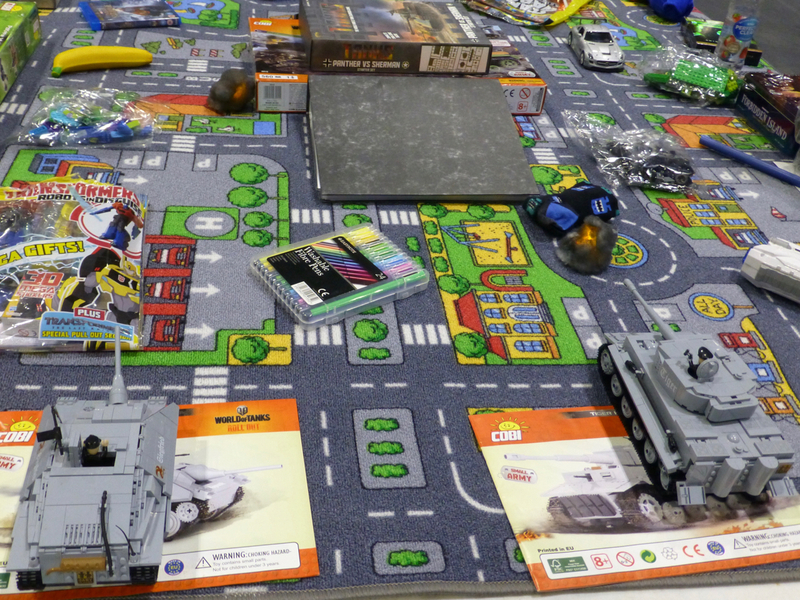 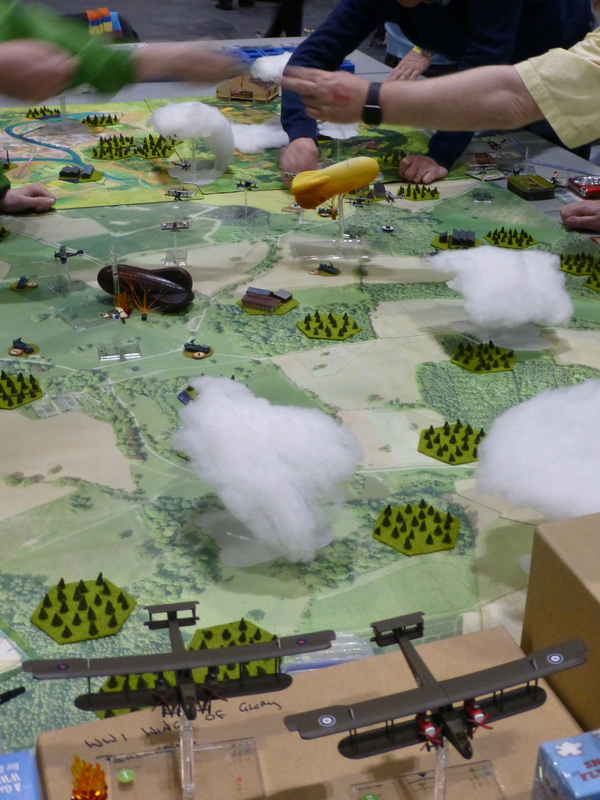 The Royal Air Force Wargaming Association brought a new family friendly and original game to the show with ‘A Brick Too Far’. 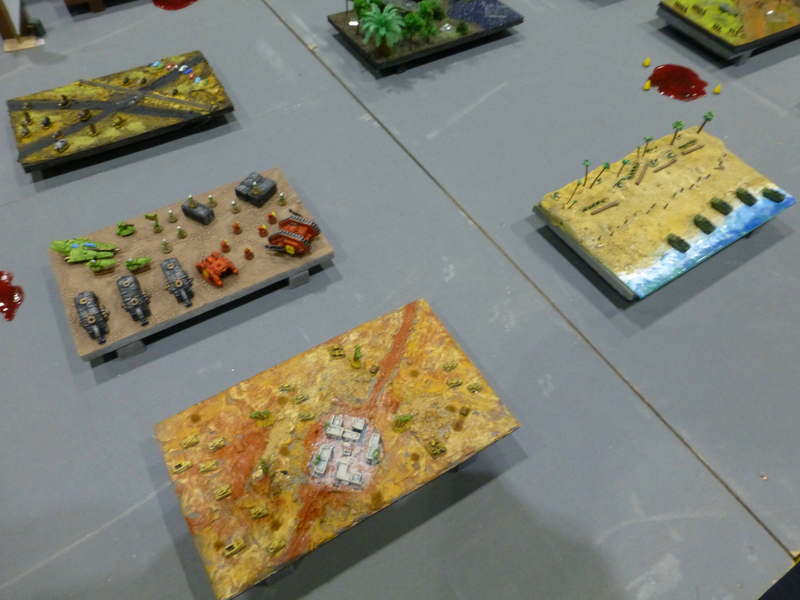 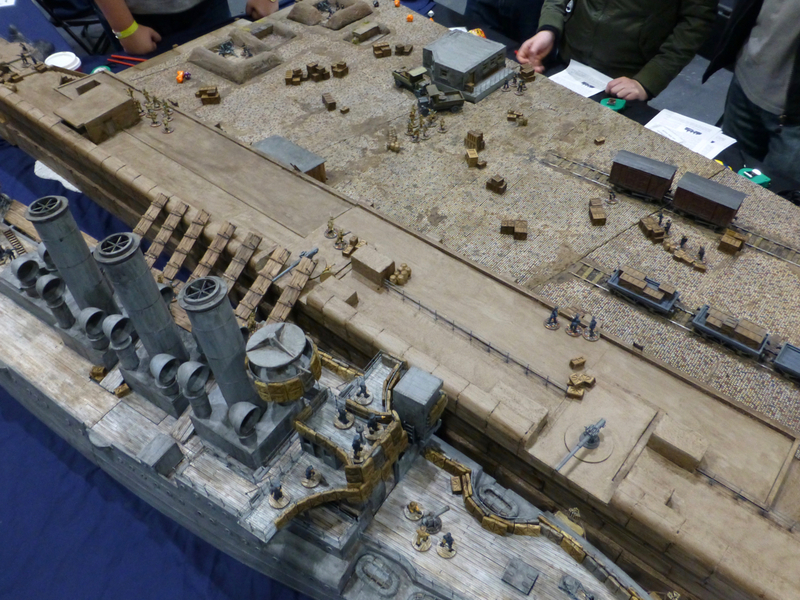 One of the finest display tables at Salute 2018 was ‘Glory! 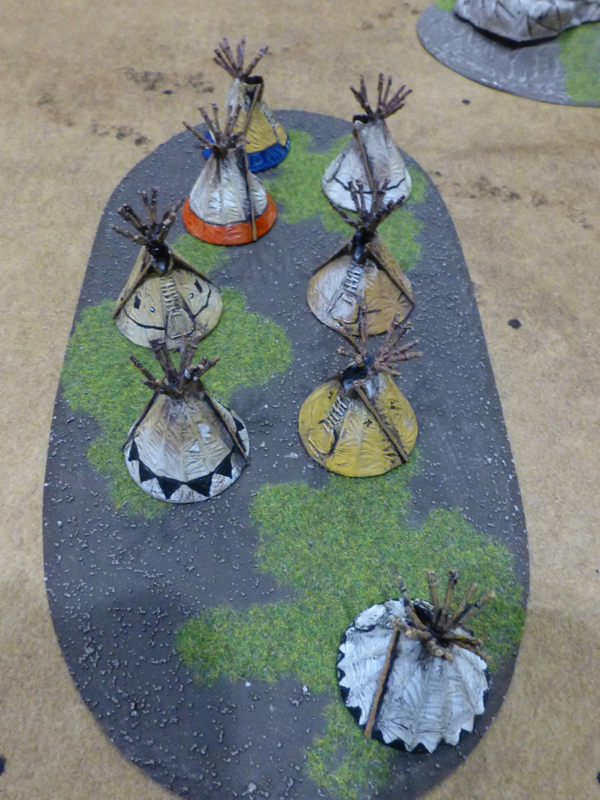 From the Halls of Montezuma’ by Ian Smith & Friends. 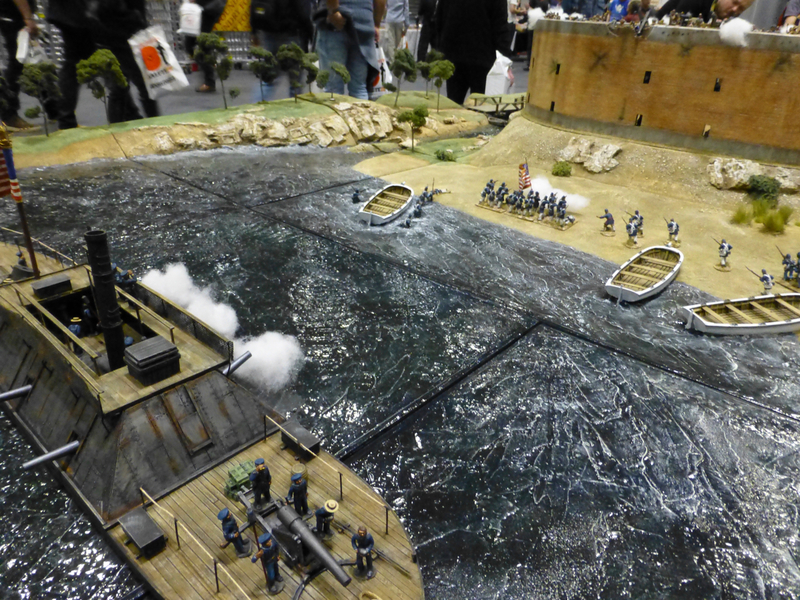 Set in the American Civil War, it portrayed Union forces attempting to take Charleston with an assault by land and sea. 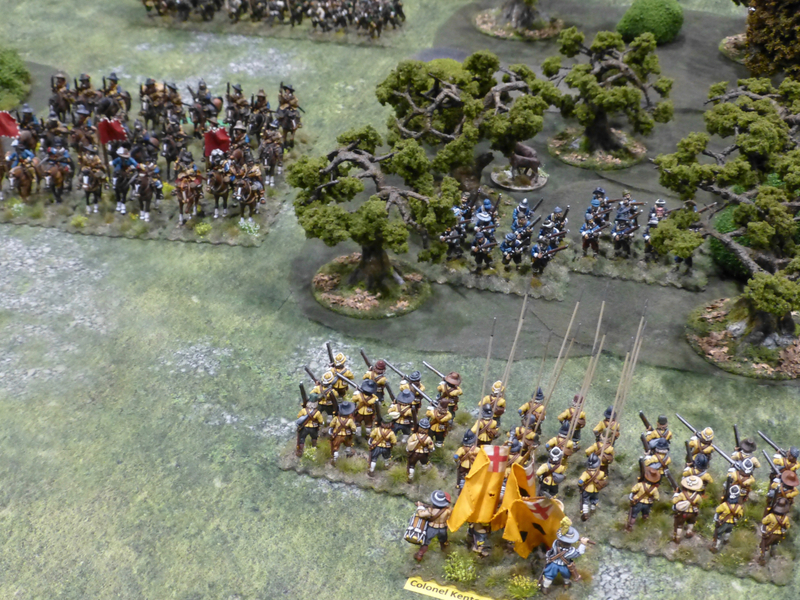 Stand To Games demonstrated the Forager rules set for a skirmish level engagement. 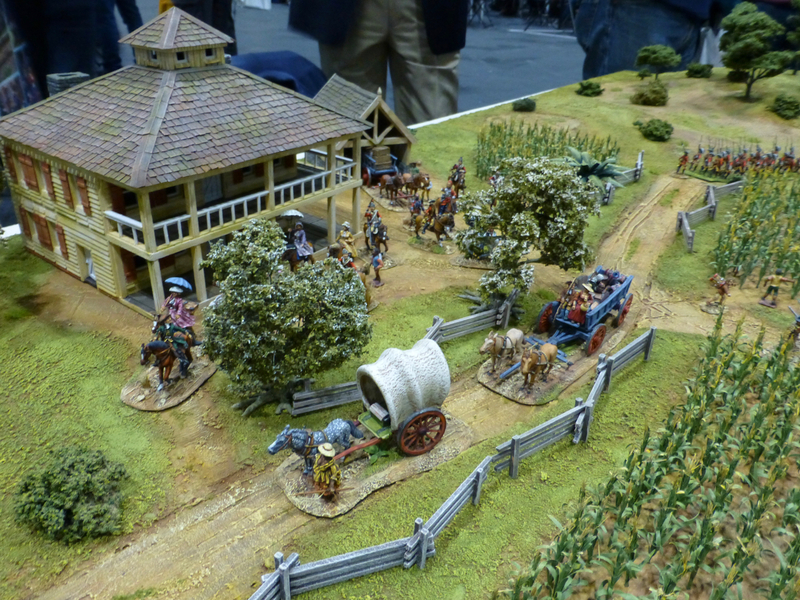 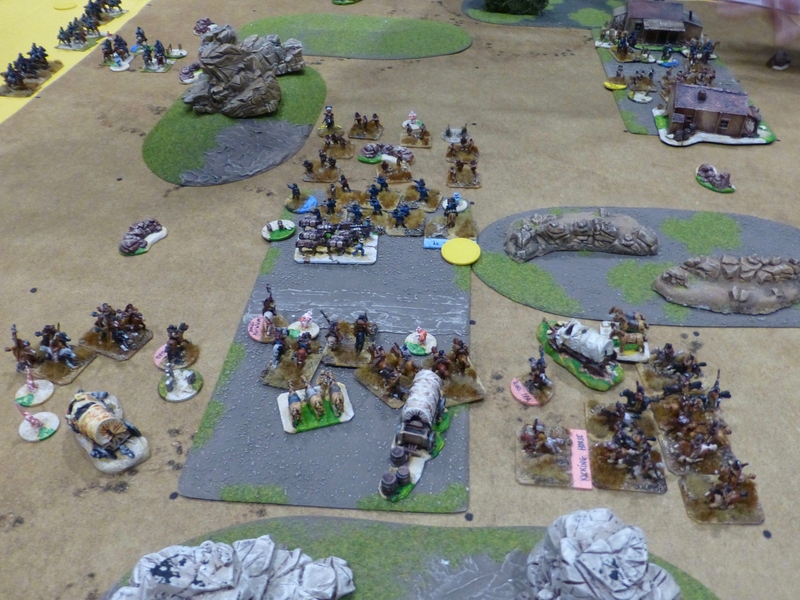 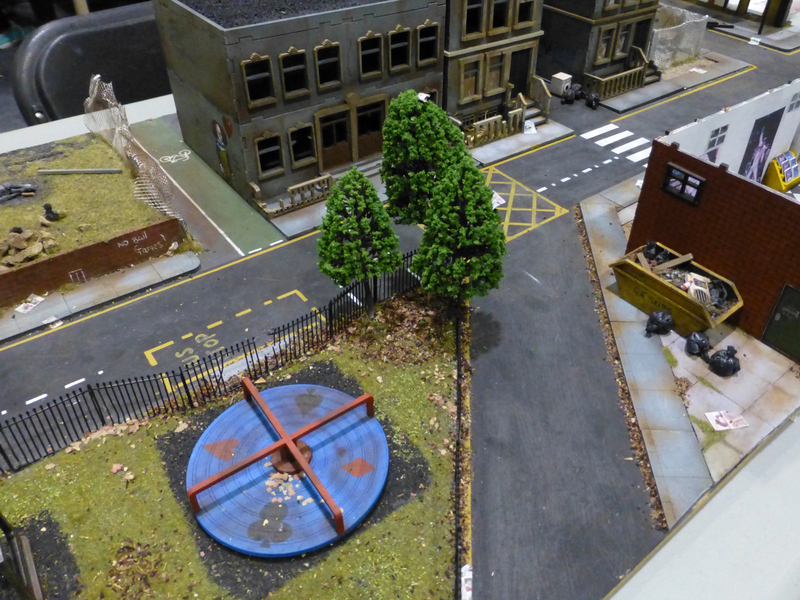 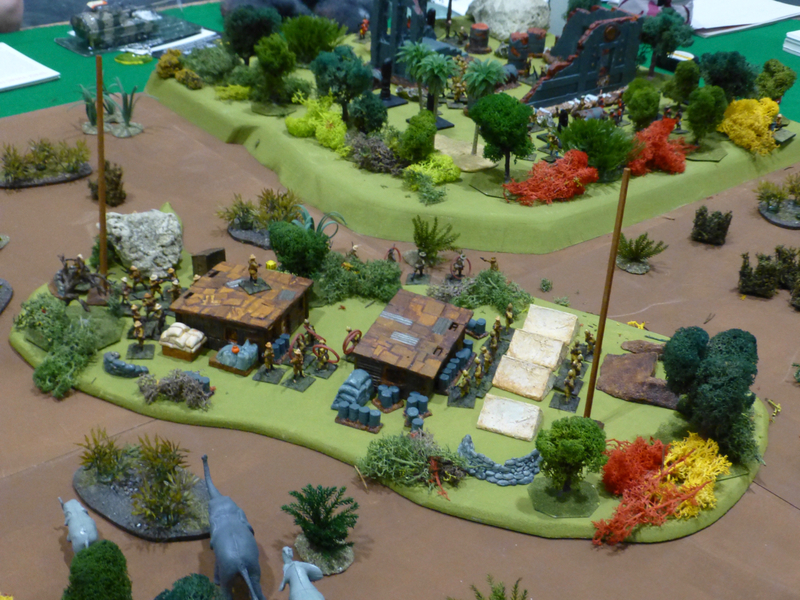 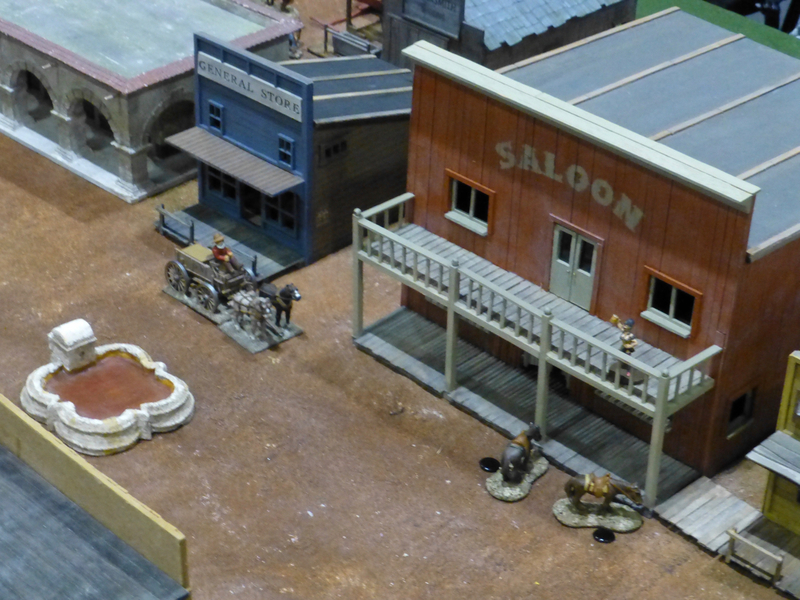 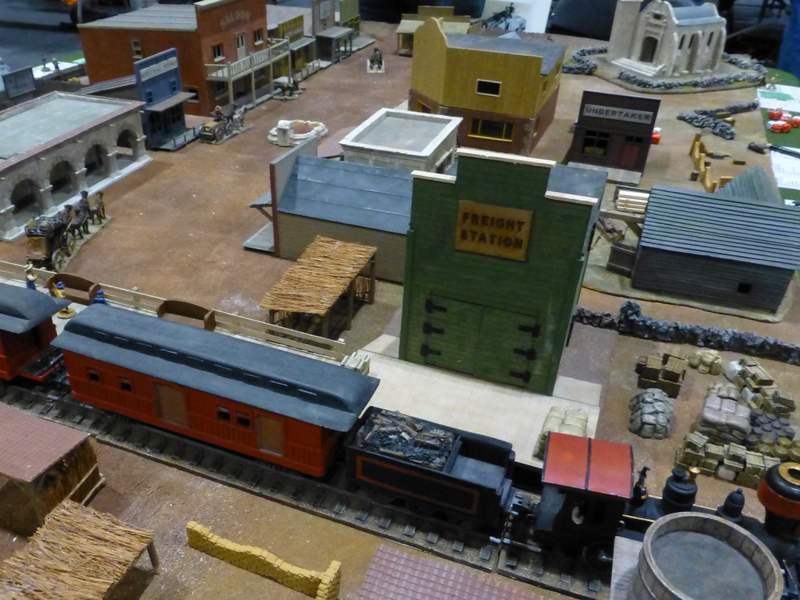 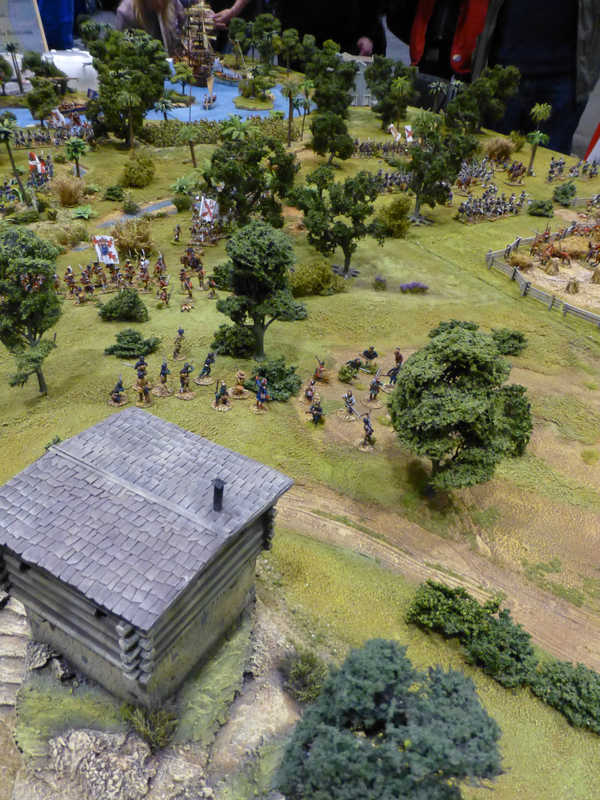 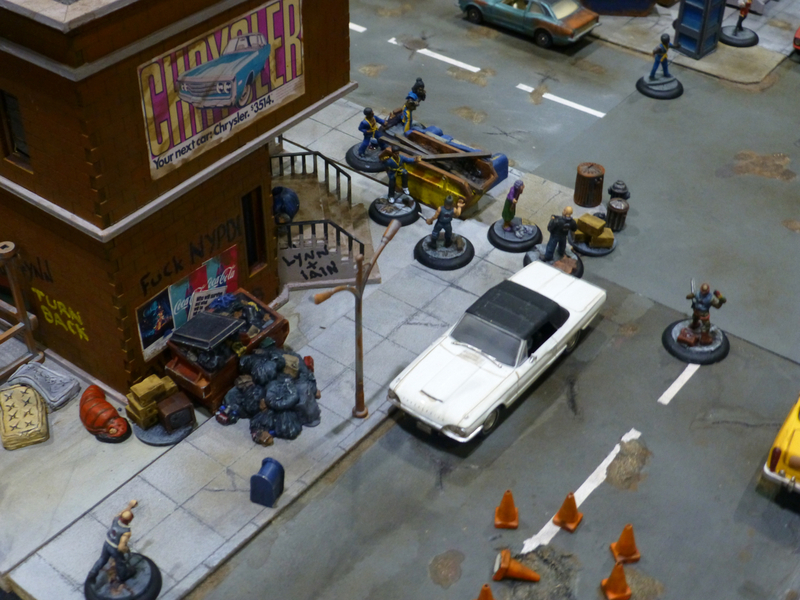 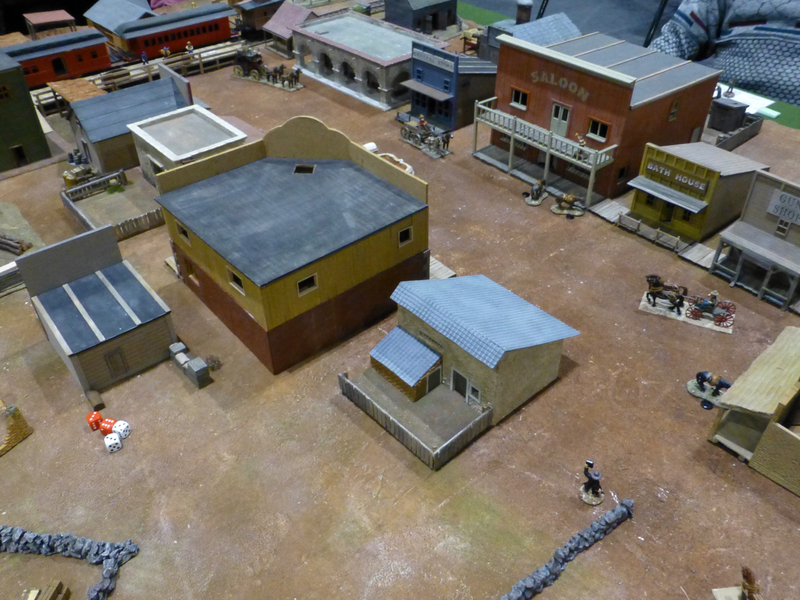 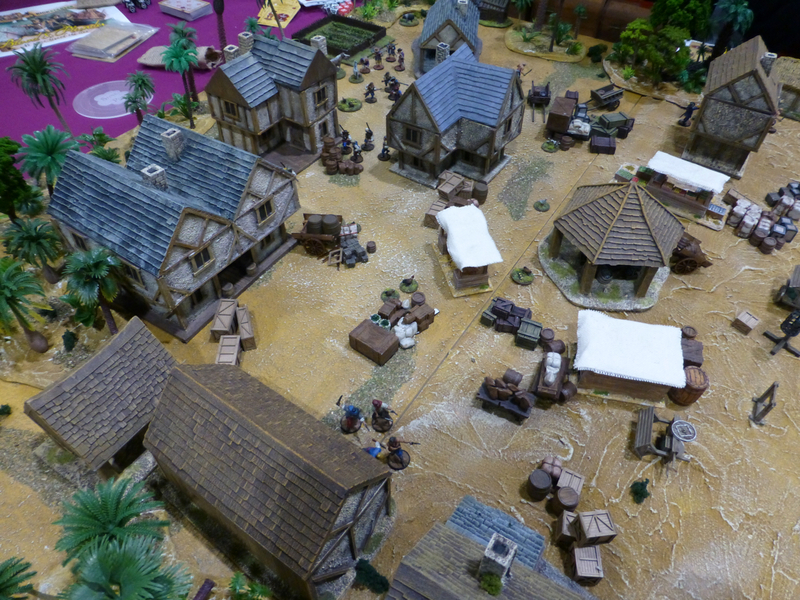 The Hornchurch Wargames Club set up a fast play Wild West shoot out in ‘The 2:15 to Hornchurch’. 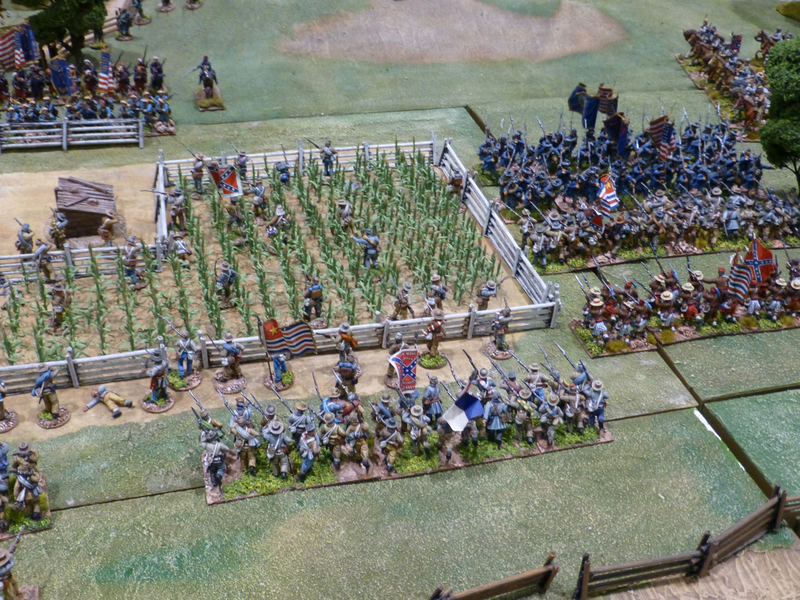 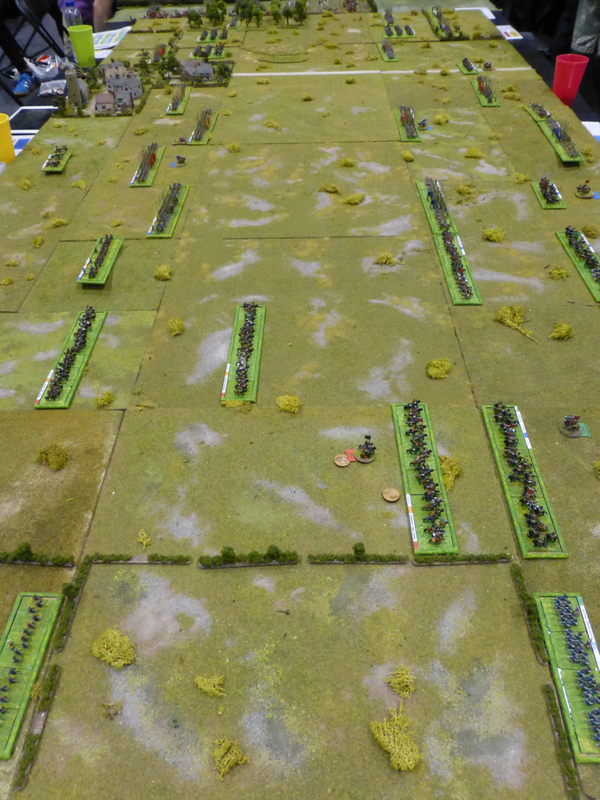 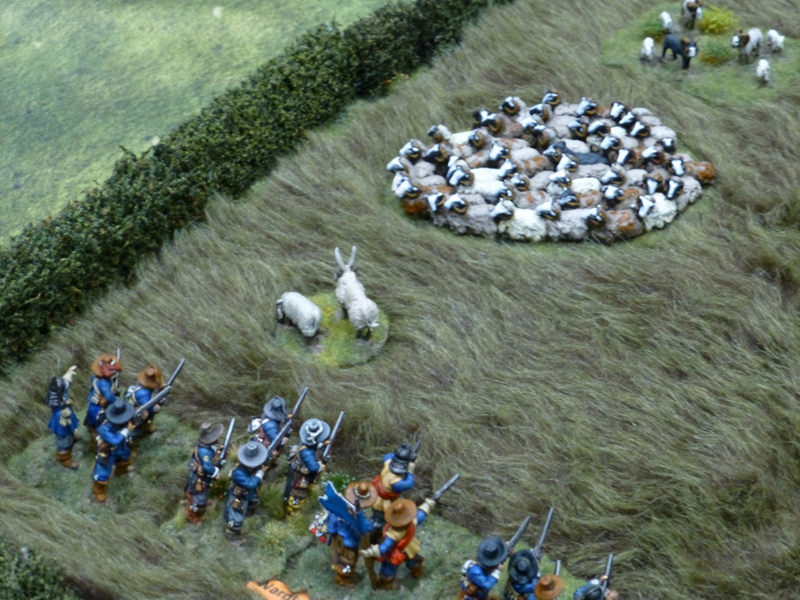 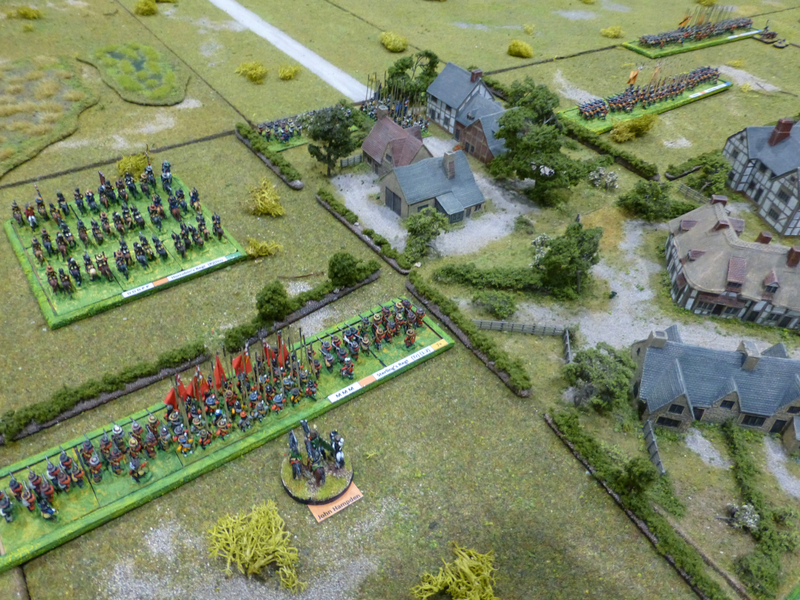 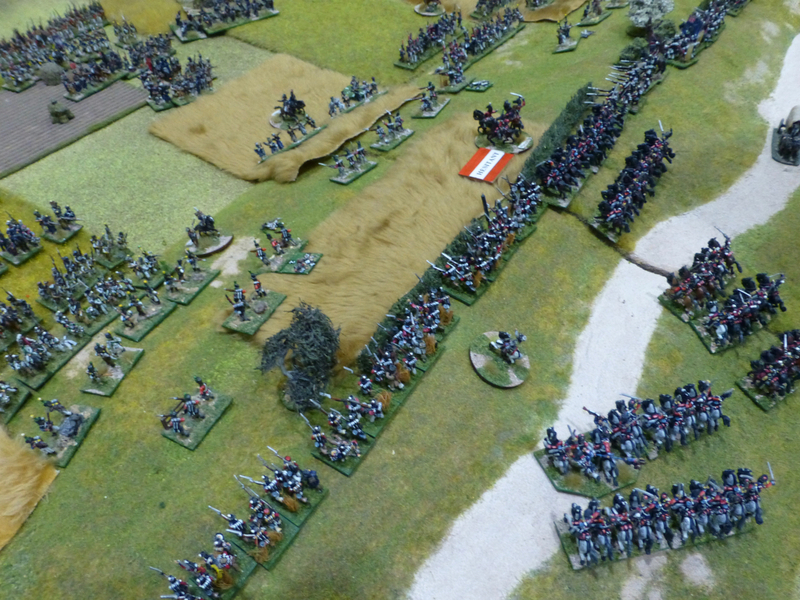 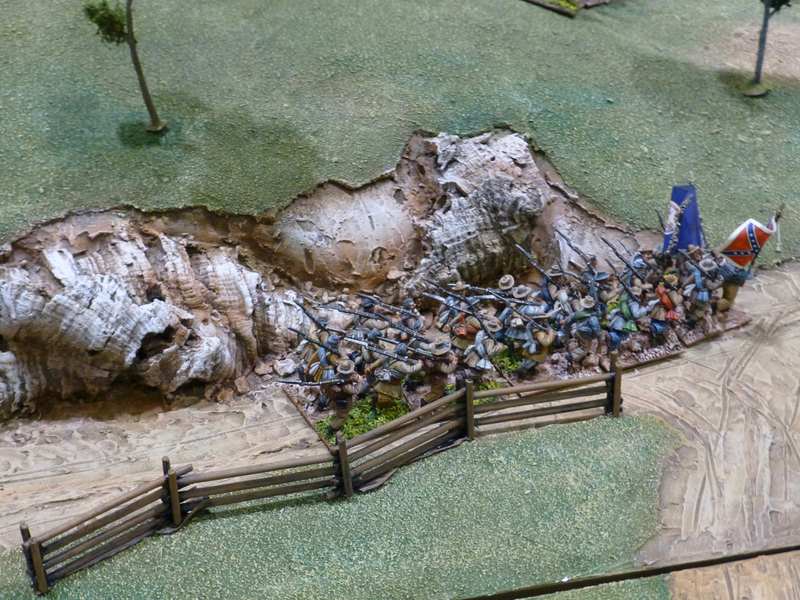 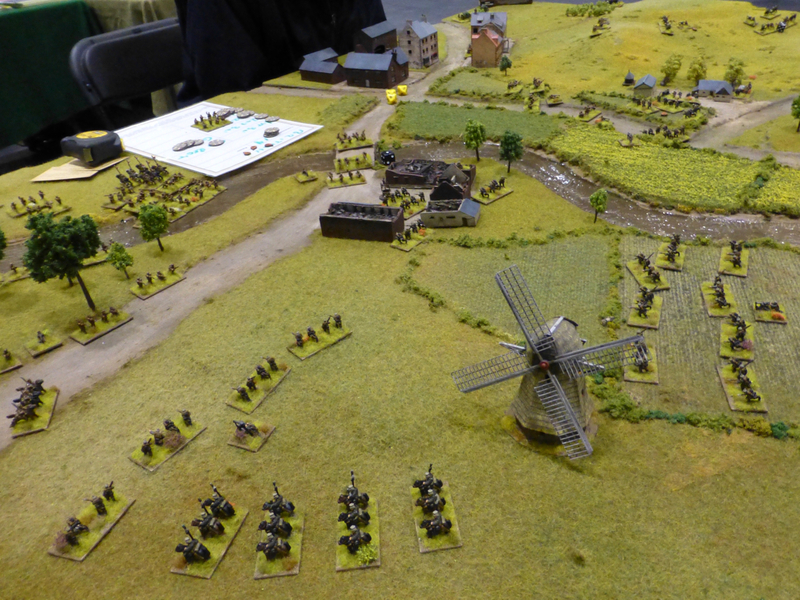 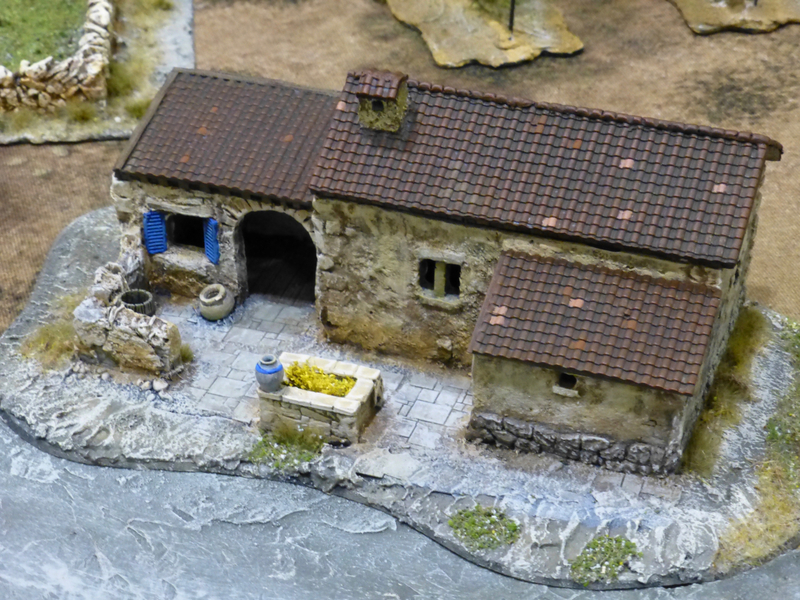 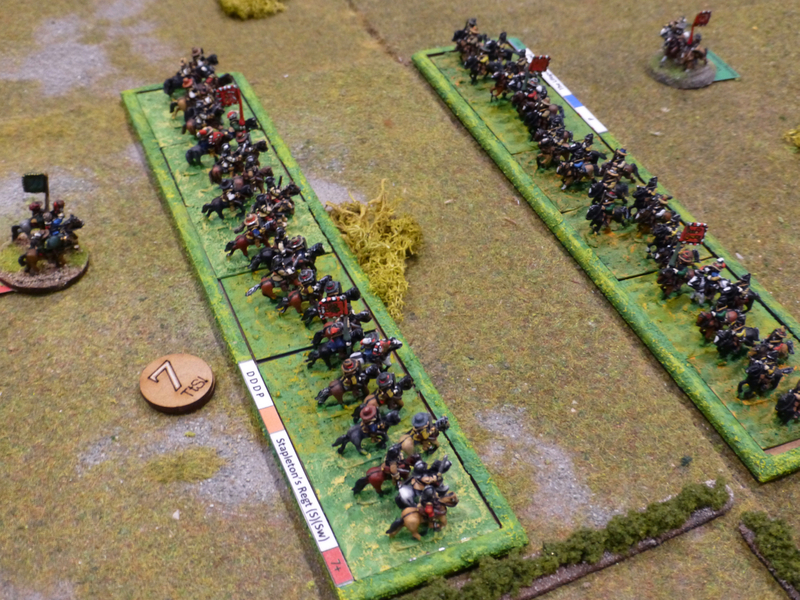 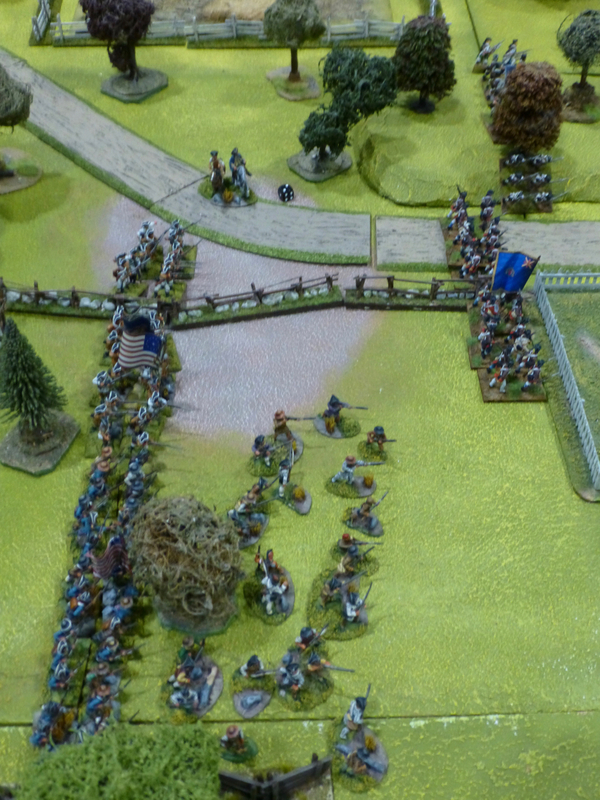 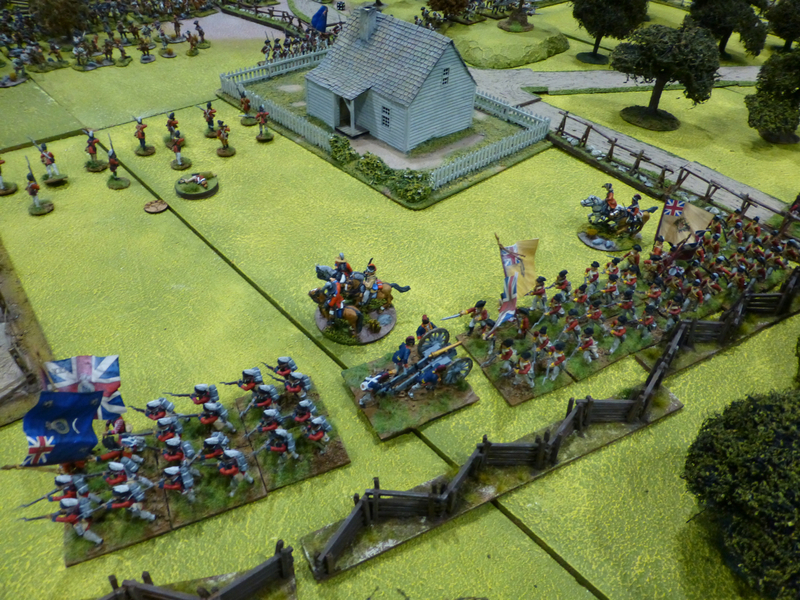 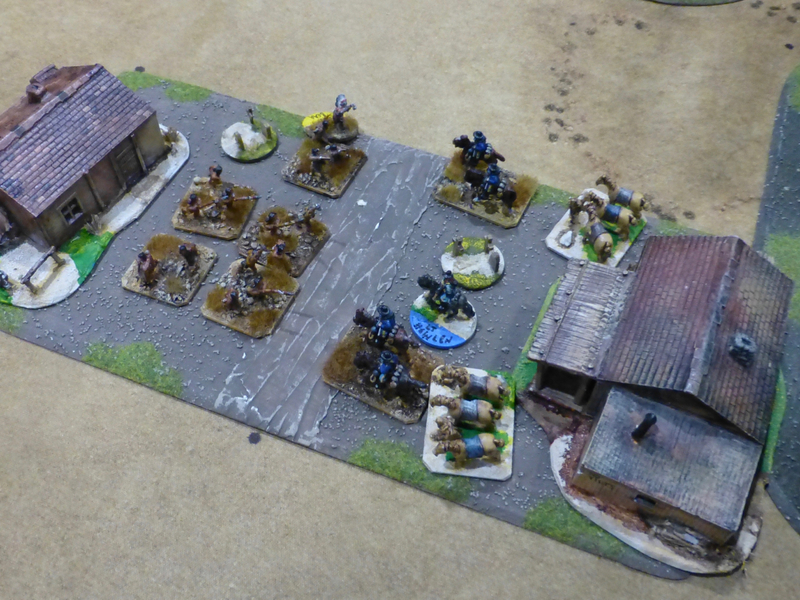 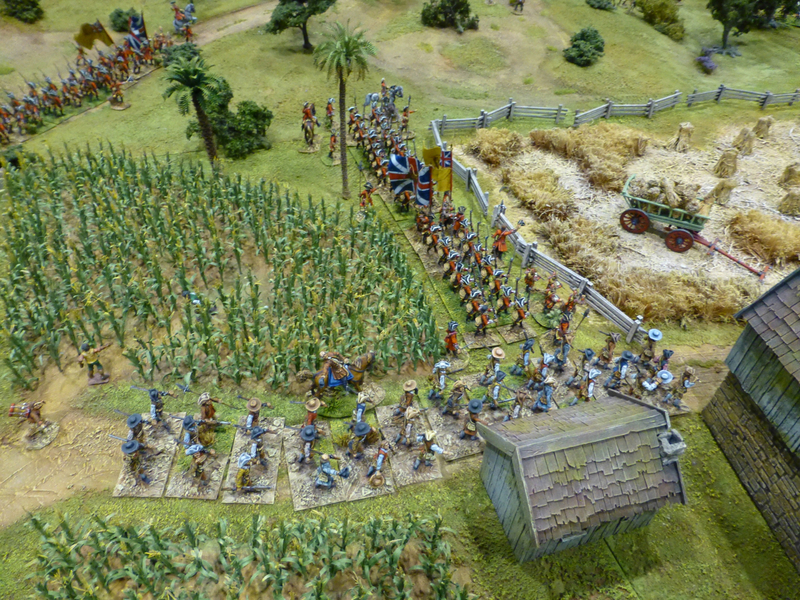 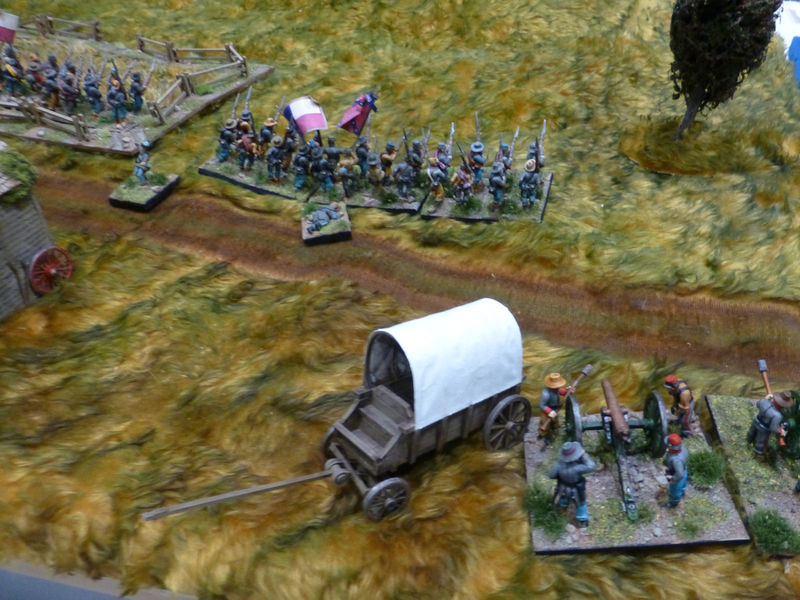 Peter Pig ran participation battles for the new Western wargame, utilising his 15mm range. 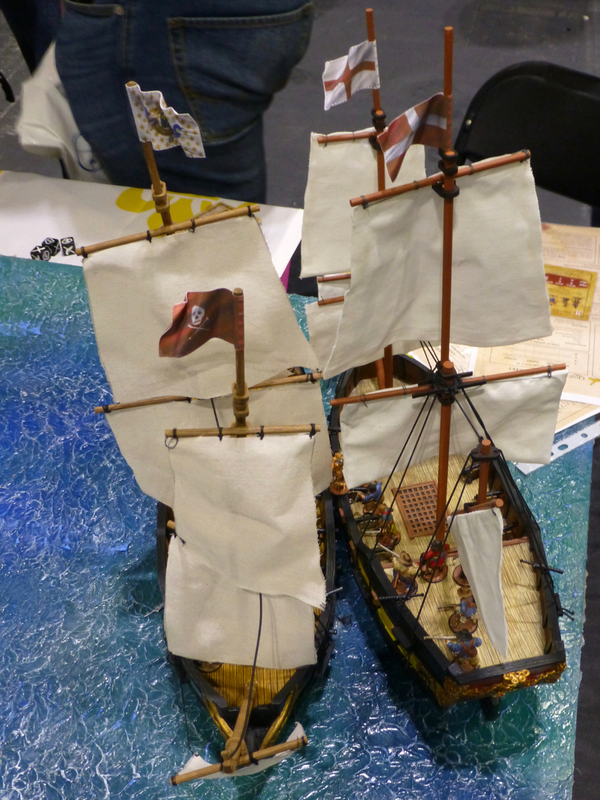 It seems like the Golden Age of Piracy is upon us thanks to Blood & Plunder, a game I am very keen to get involved in. 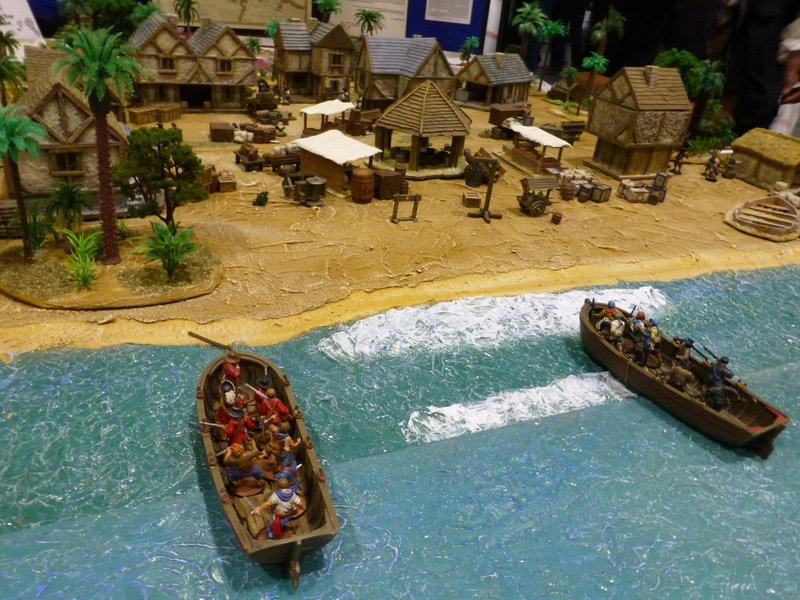 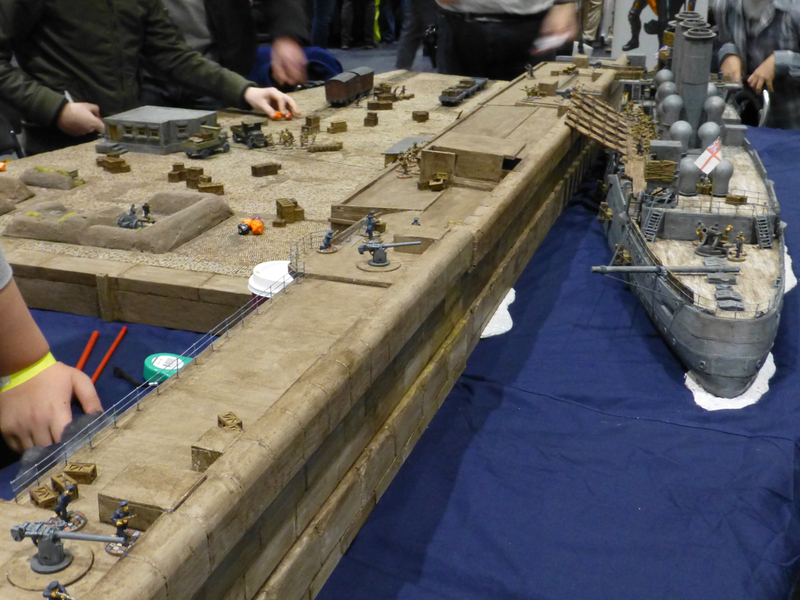 At Salute 2018, the Leicester Phat Cats did a marvellous job of showcasing the system on a board filled with ships and a coastal settlement. 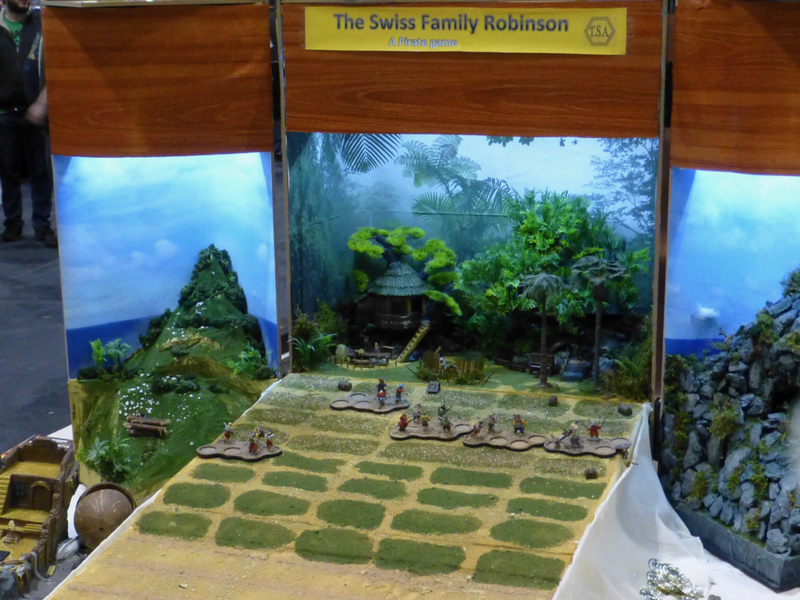 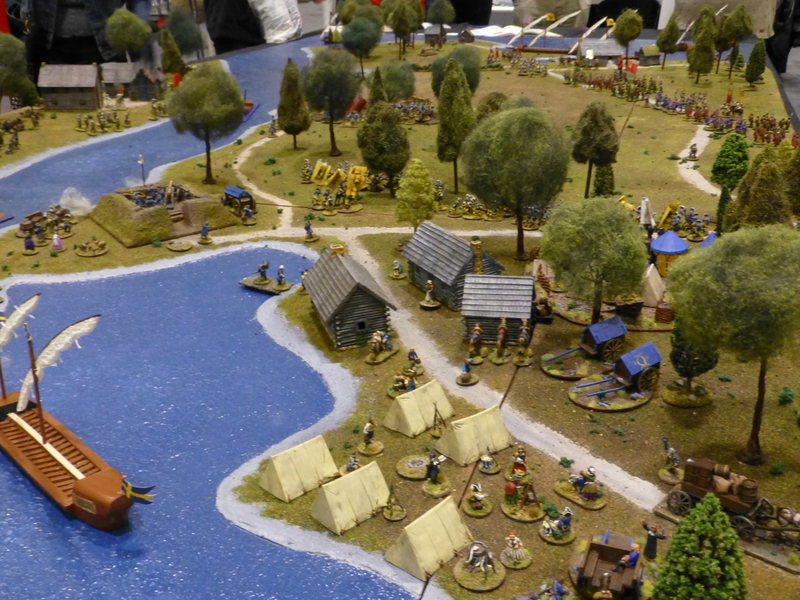 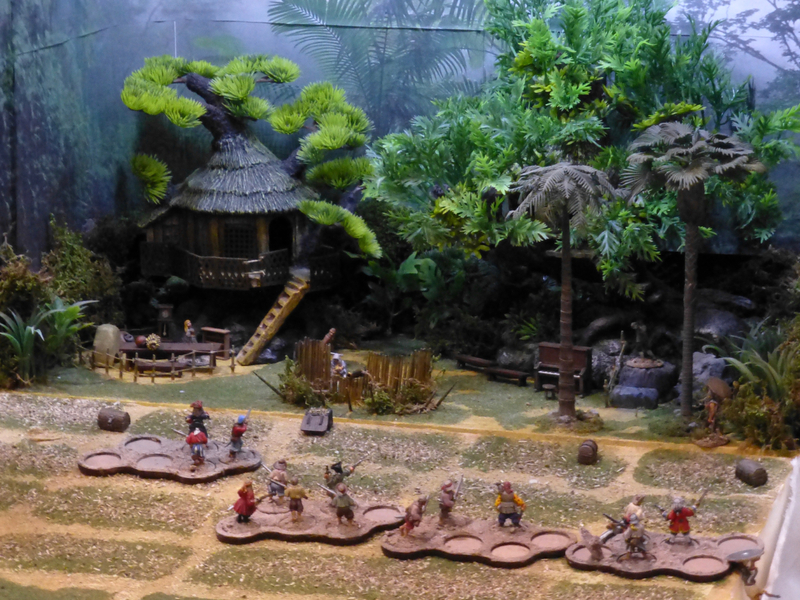 The Tin Soldiers of Antwerp ran a family friendly participation game in which ‘The Swiss Family Robinson’ had to defend their tree house against waves of attacking pirates. 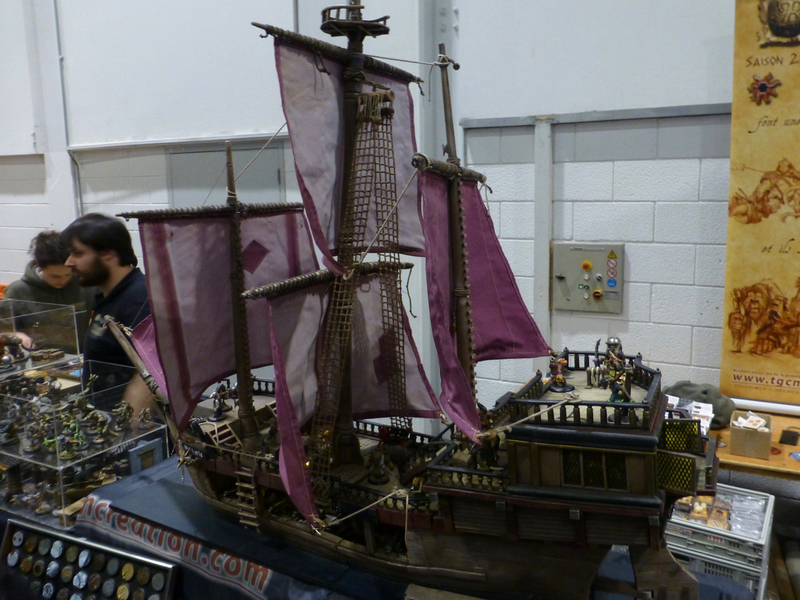 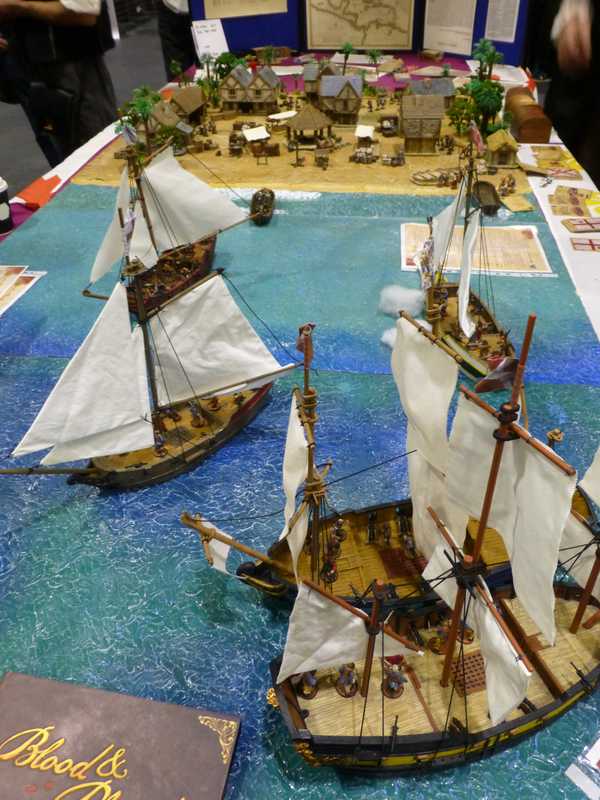 TGCM had brought an imposing pirate vessel to show off their miniatures range. 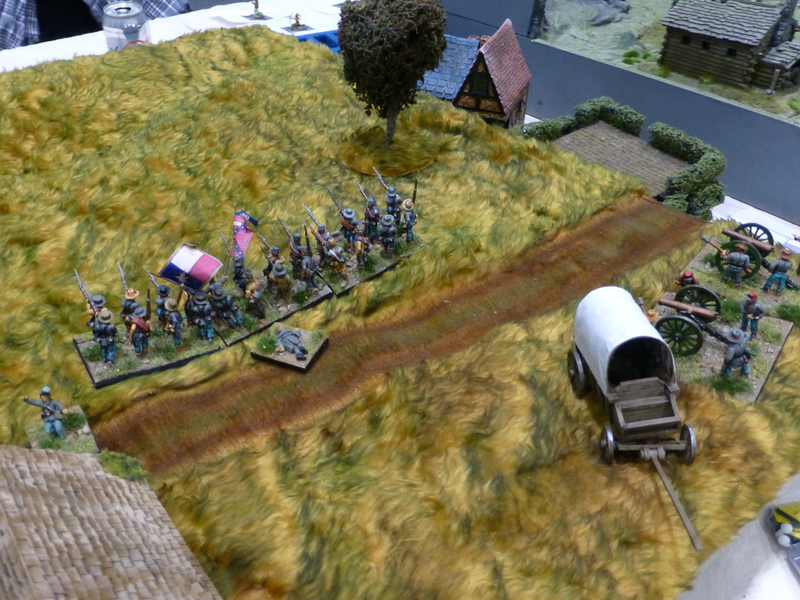 A few years earlier and back on dry land, Simon Miller & Friends staged a fictional English Civil War battle in the Borsetshire hamlet of Soggy Bottom. 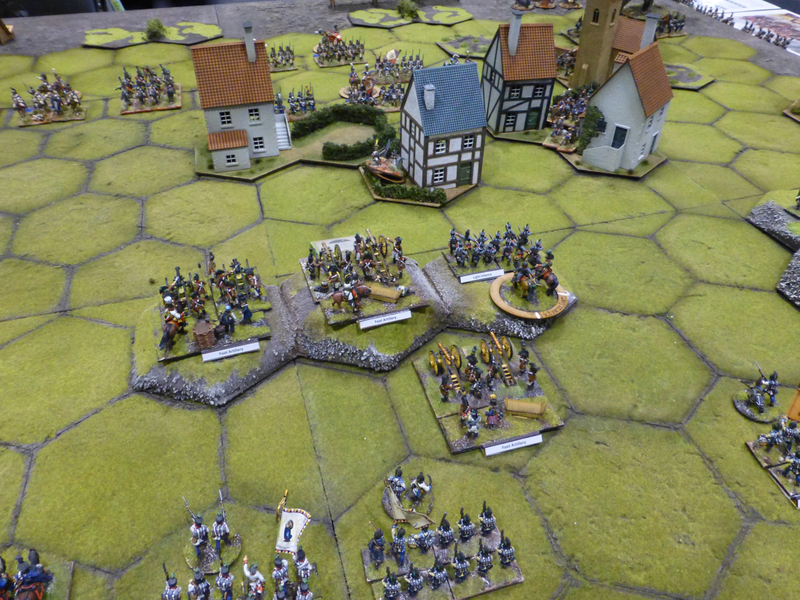 Not being content with just one engagement, this was played in two different scales, using the ‘To the Strongest! 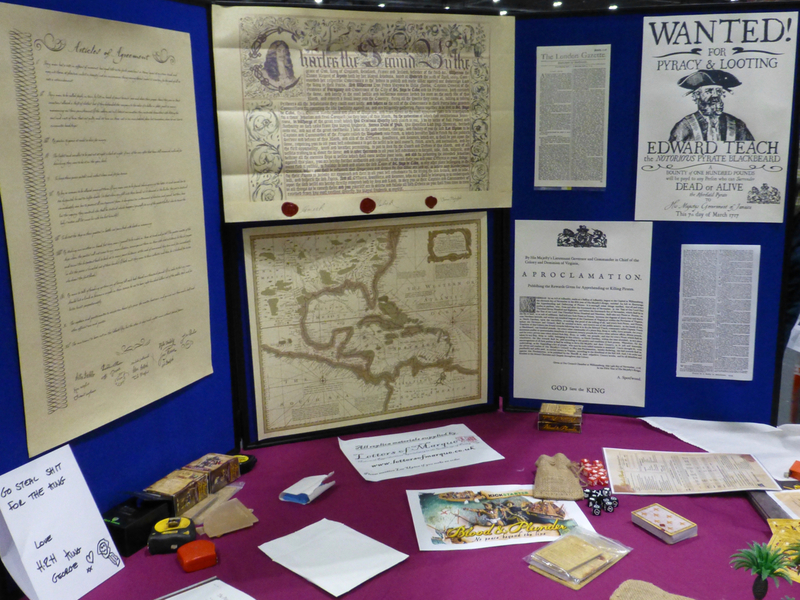 For King and Parliament’ set of rules.